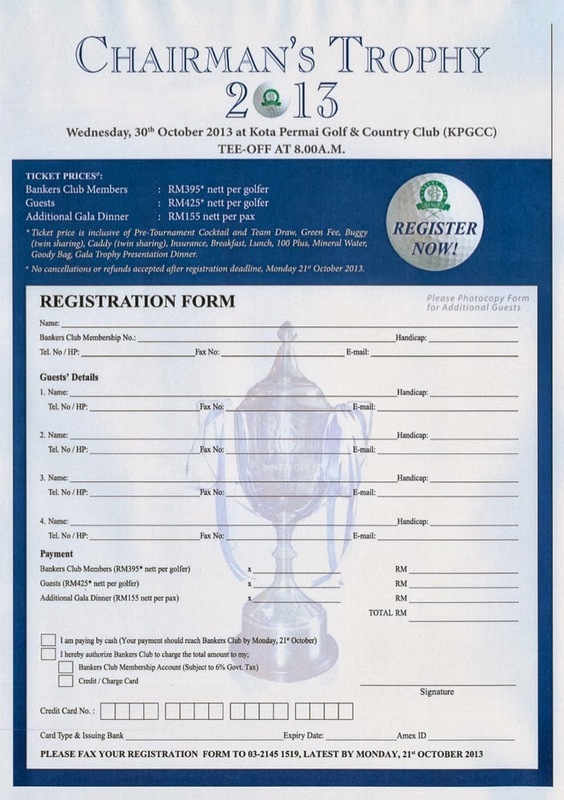 Course were in a very good condition and it’s nice to play, although I wish their registration was as good. 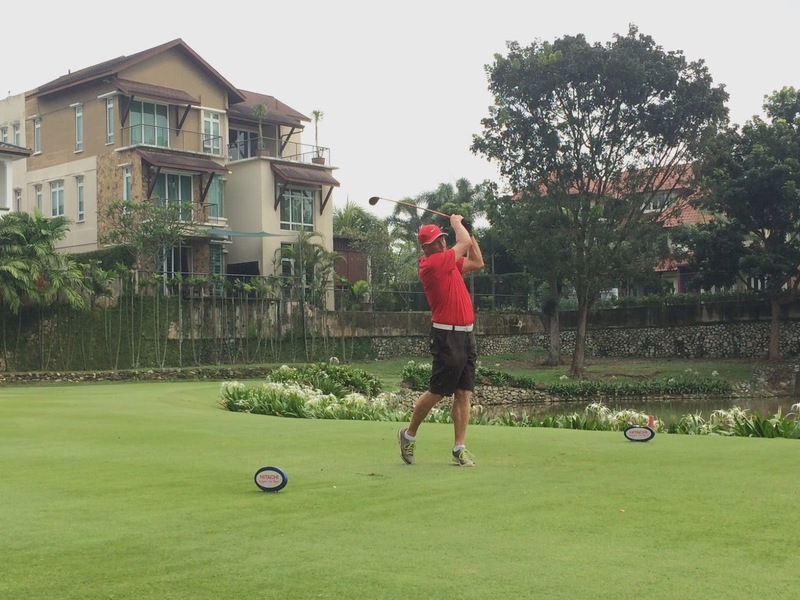 All three flights teed-off from hole one and it all worked out smoothly. 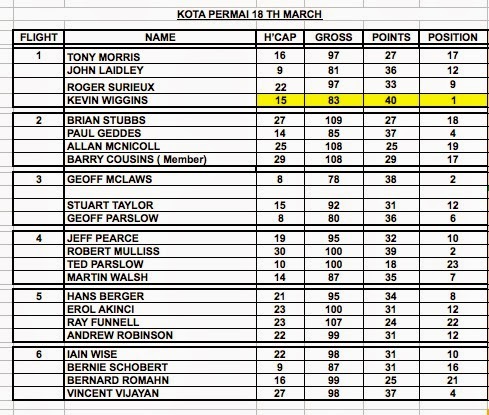 The outstanding winner of the day were Geoff McLaws with 72/43, second Bernard Romahn with 86/40 and third came Kevin Wiggins 92/35. 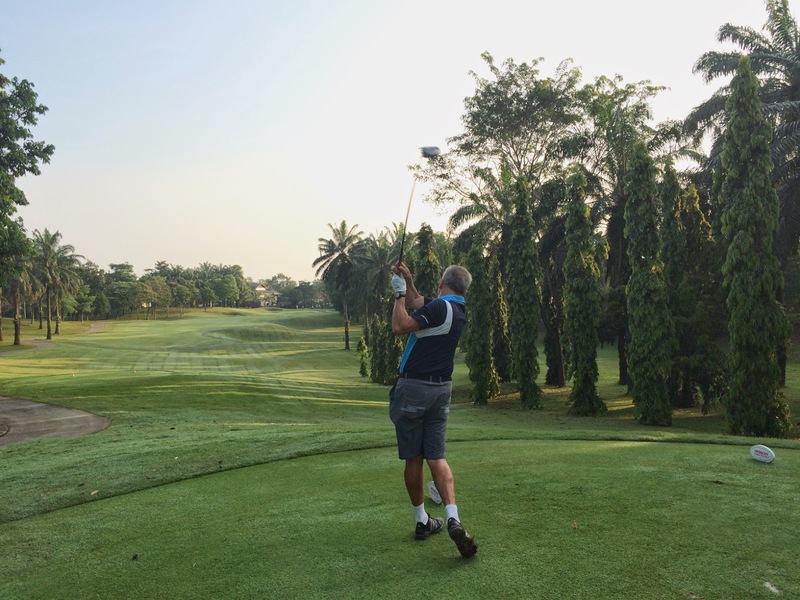 Quite a lot of players were around 100 but none of us beat Allan Wright. 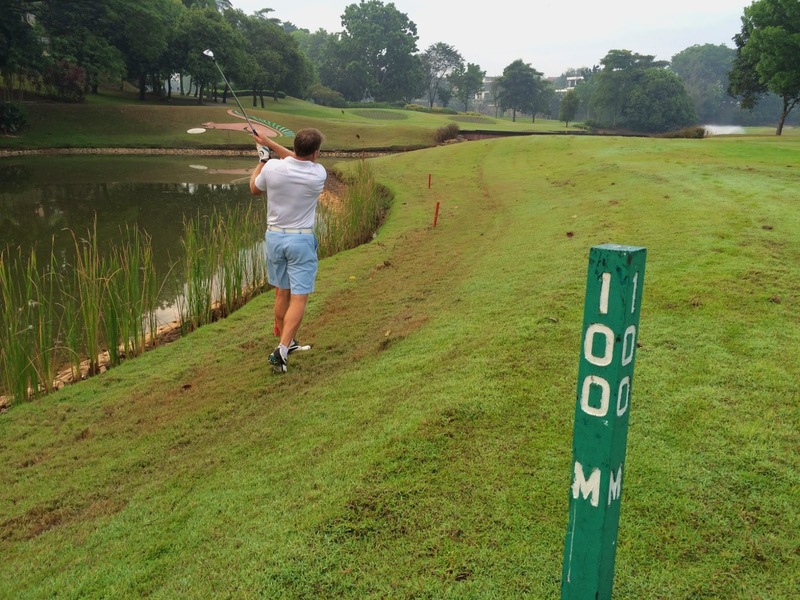 (Stuart, you will have full result later). 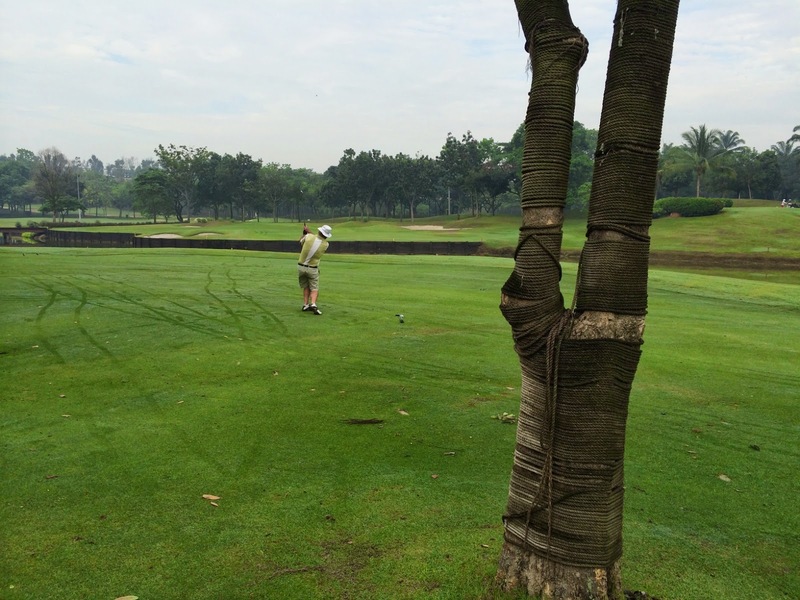 Our usual Chinese restaurant were not open, so we had our lunch at the club and it were as good as one can expect from a club like this, except for the fish and chips. 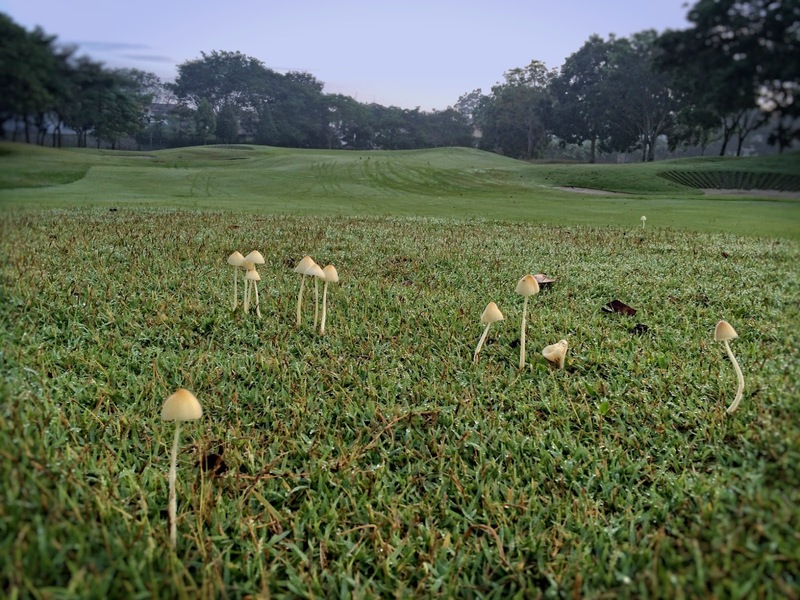 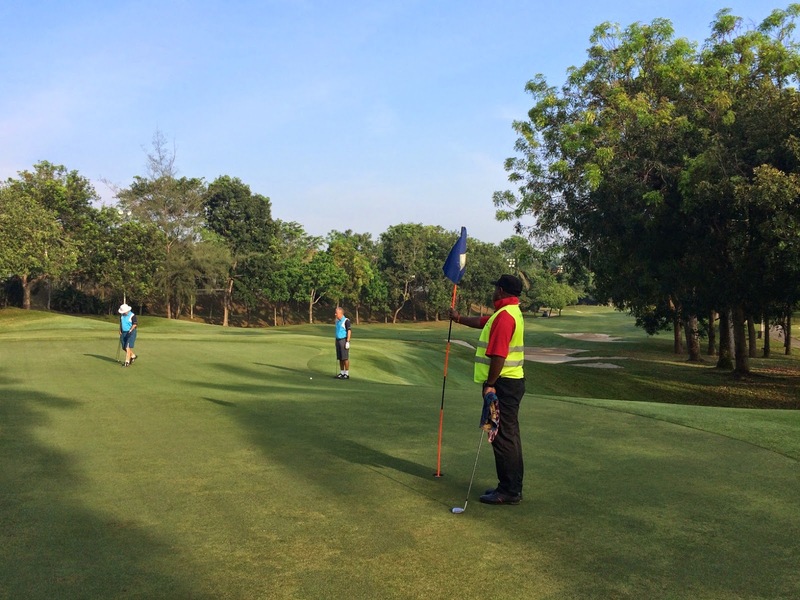 We had the pleasure of playing our June Trophy Game at the wonderful Kota Permai course today taking advantage of good Ramadan green fee rates. 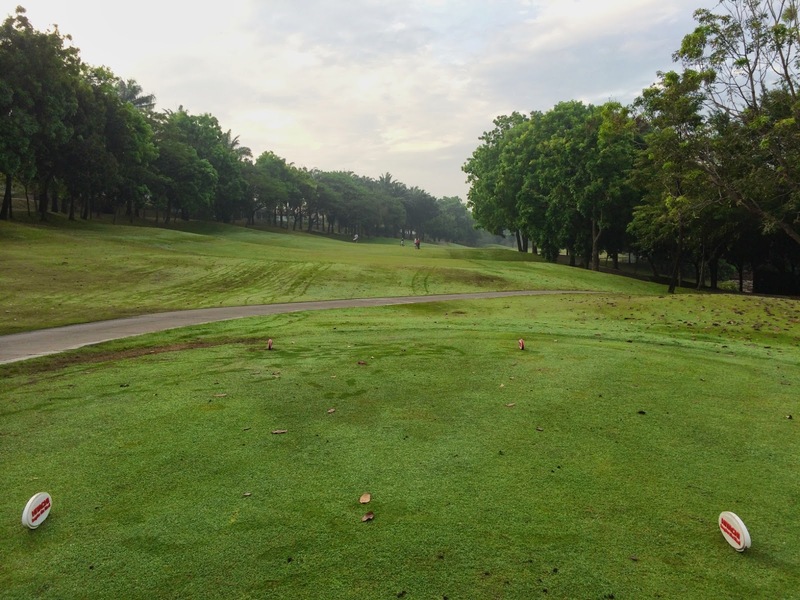 5 full flights got off on two tee boxes promptly at 8:00am on a beautiful morning. 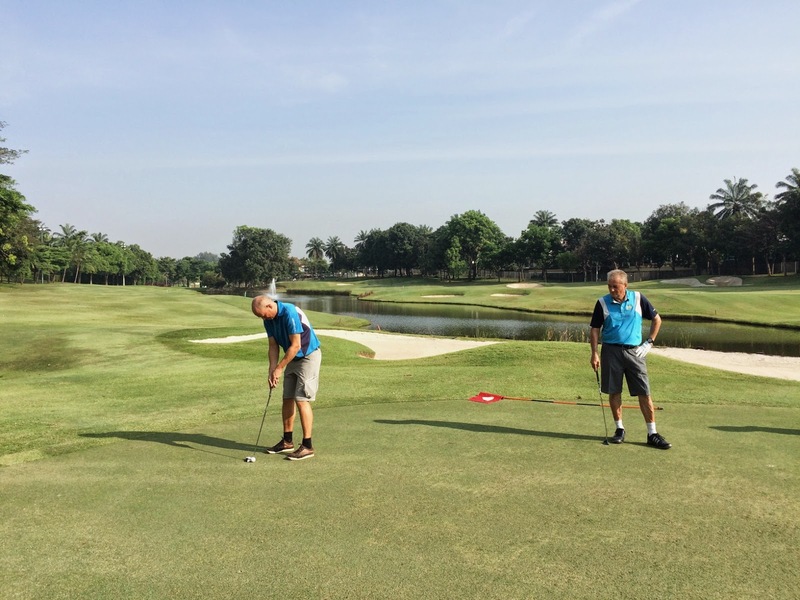 The course was in excellent condition and although the greens had recently been hollow tined they were very good and rather quick. 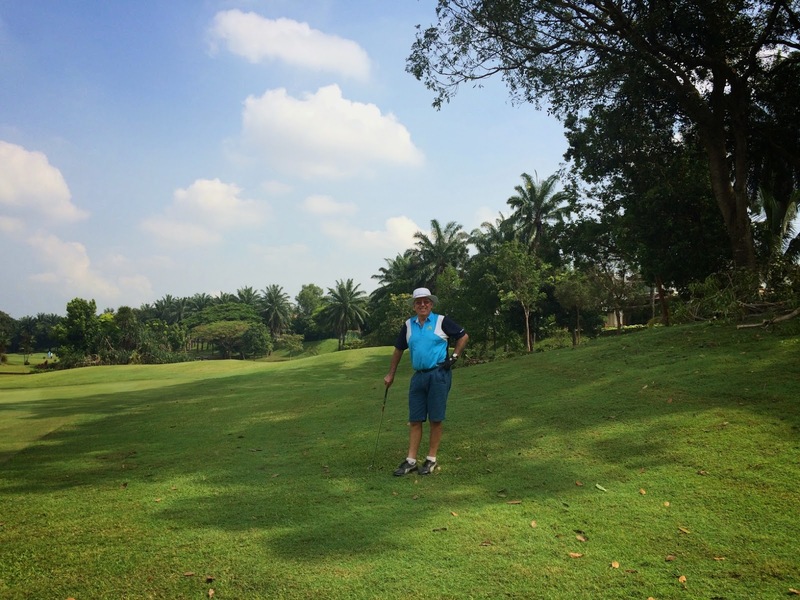 Weather was good and by the end of the round was getting quite hot. 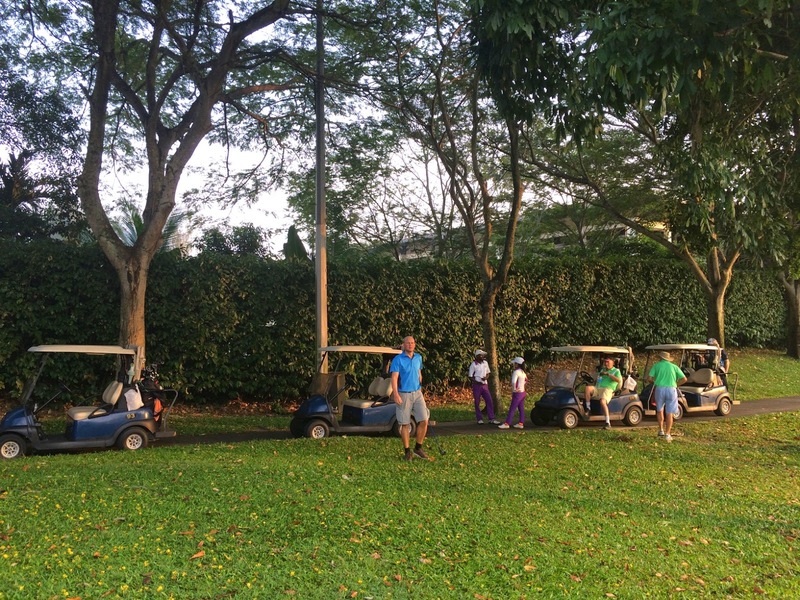 We were all finished however by 12:30pm and then headed over to the nearby Mayflower Restaurant at Le Hotel for a good lunch and some much needed refreshments. 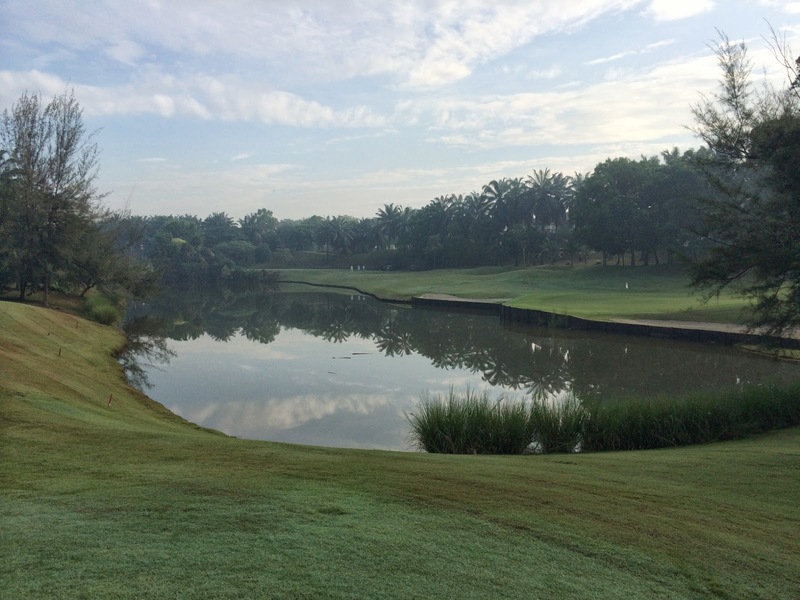 It’s alway a pleasure to return to Kota Permai Golf & Country Club, one of the best courses in the KL area by far. 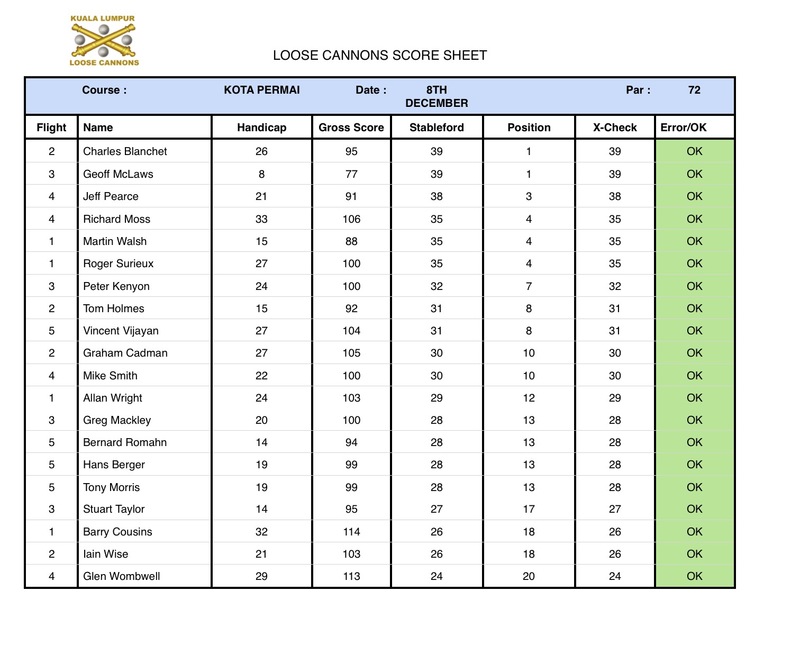 We took the opportunity to take advantage of the special Chinese New Year Golf Package for this week’s Loose Cannons game with 20 players making up 5 full flights. 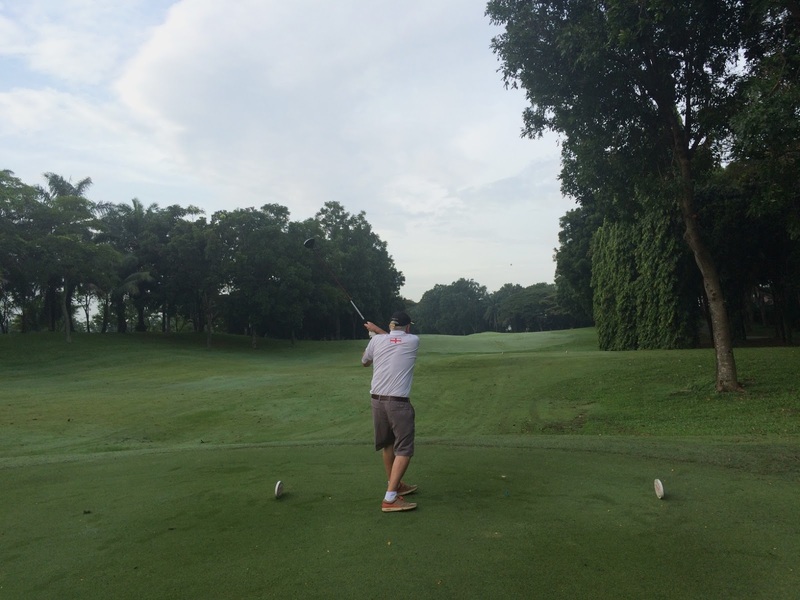 We got off on two tee boxes at shortly after 8:30 am under beautiful conditions. 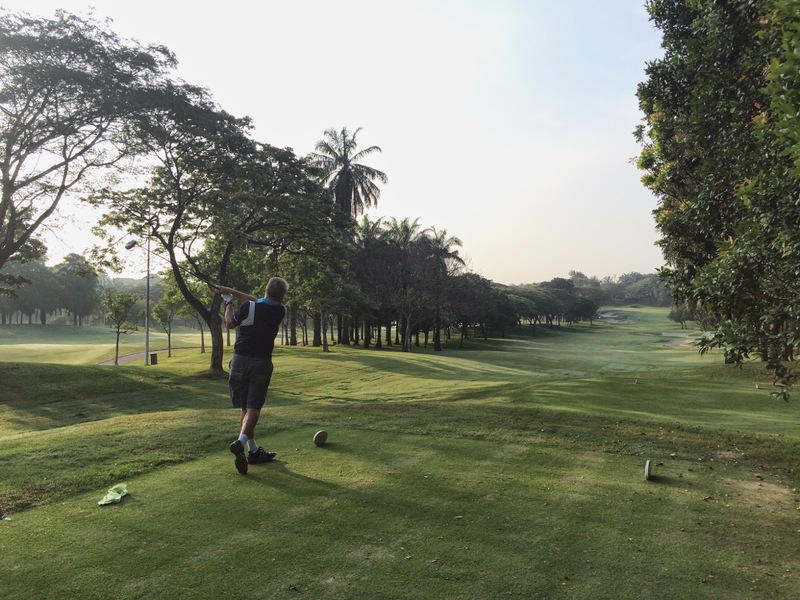 It was humid and overcast for the first half of the game then it got hotter as the sky cleared. 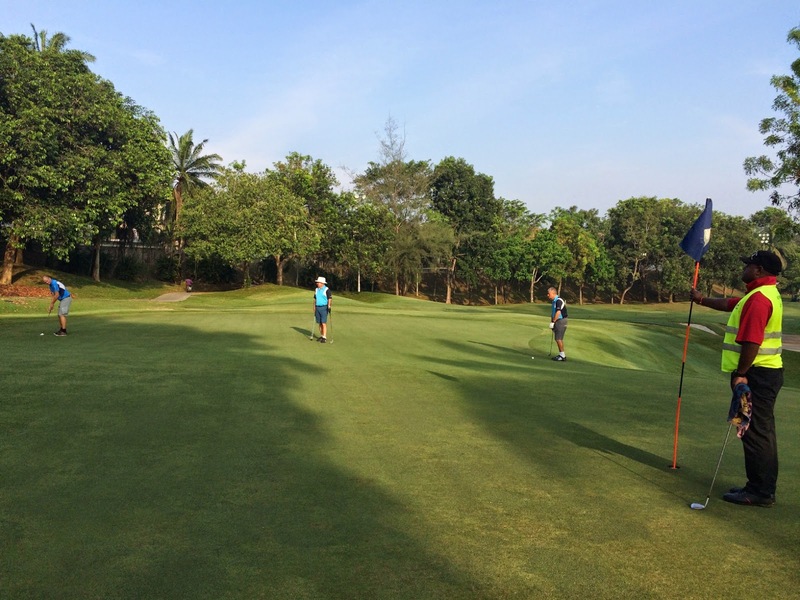 The course was in great condition and the greens fast and with the slopes on some causing a few players to run off the green having successfully reached it! 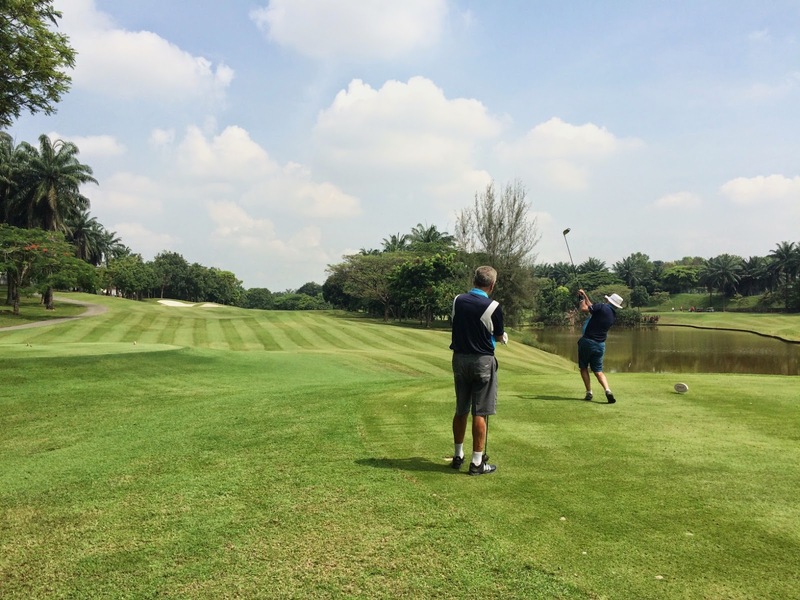 We were back in the clubhouse between 1pm and 1:30pm for lunch on the terrace. 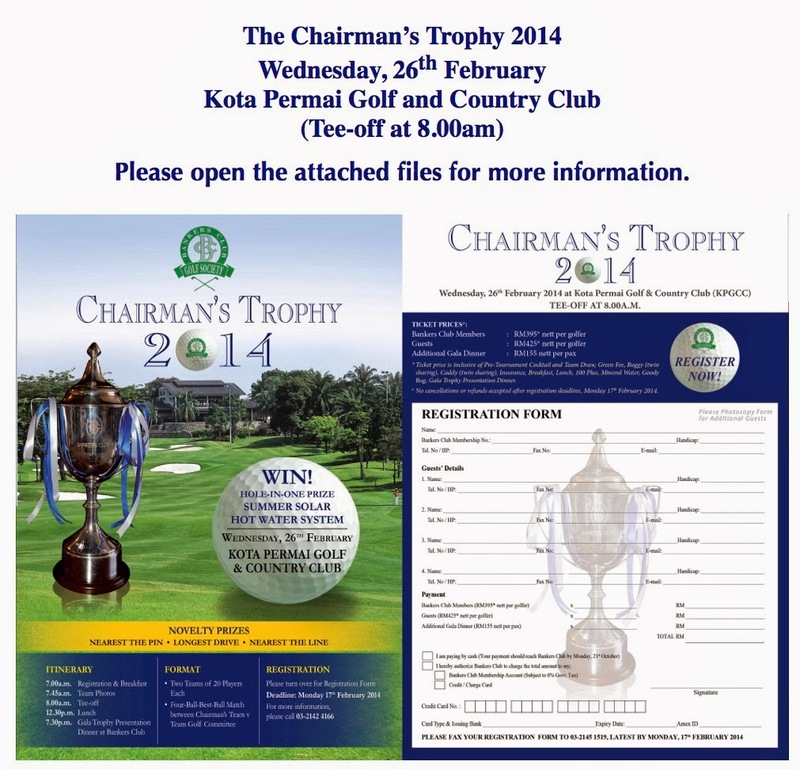 Thank you to Barry Cousins who is a member at the club and made the golf booking and the lunch arrangements. 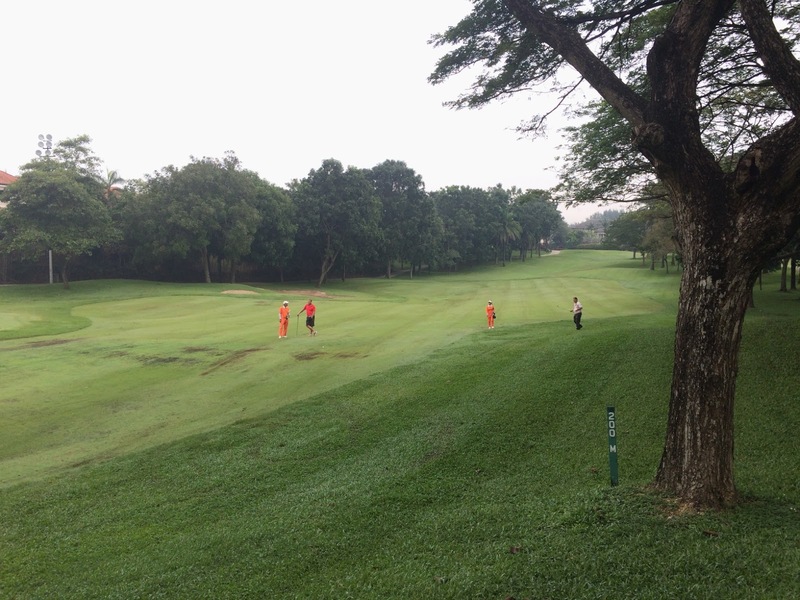 We had 5 full flights with 20 players this morning at Kota Permai enjoying the special December green fees rate. 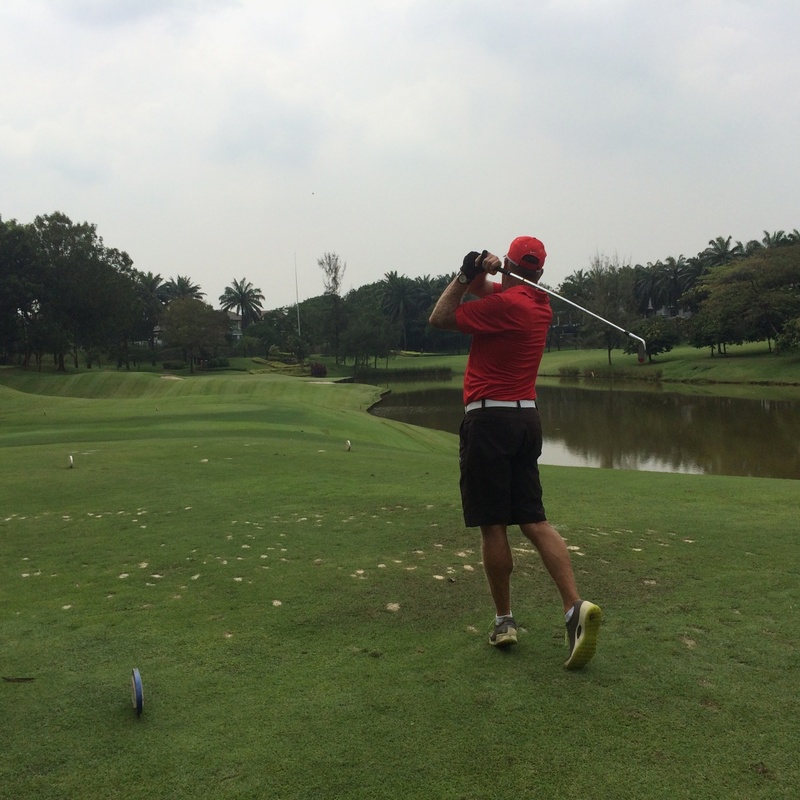 Weather was good and the course was in pretty good shape with only small areas being a little wet. 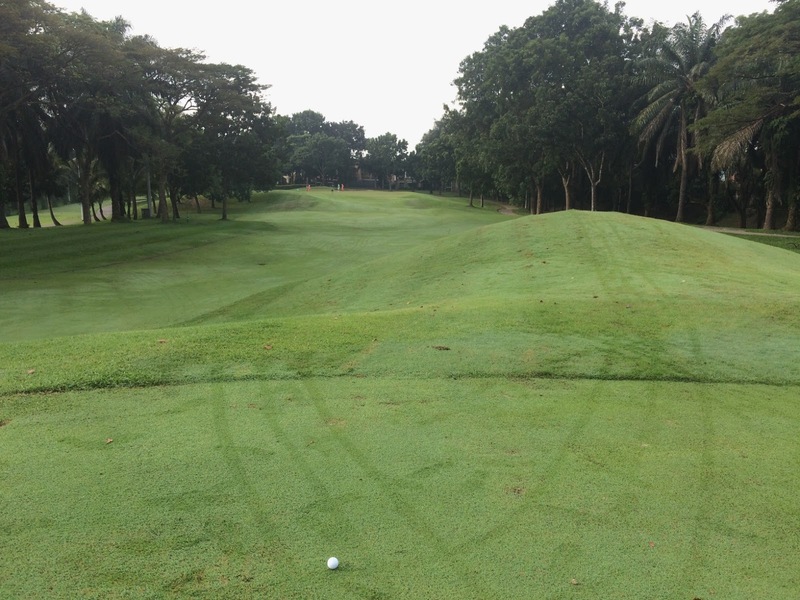 The greens as per usual were fast but true. 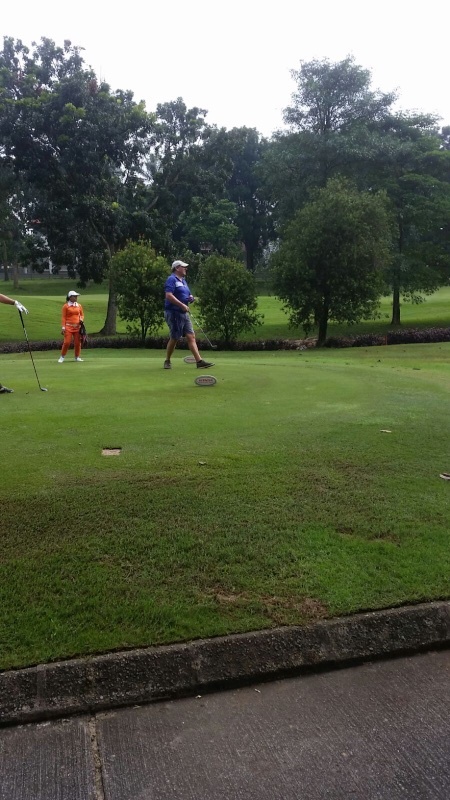 We were almost all finished by 12:30 … but the last group (my group) were caught on the final hole with the rain stop siren and could not complete the hole till 30 minutes later. 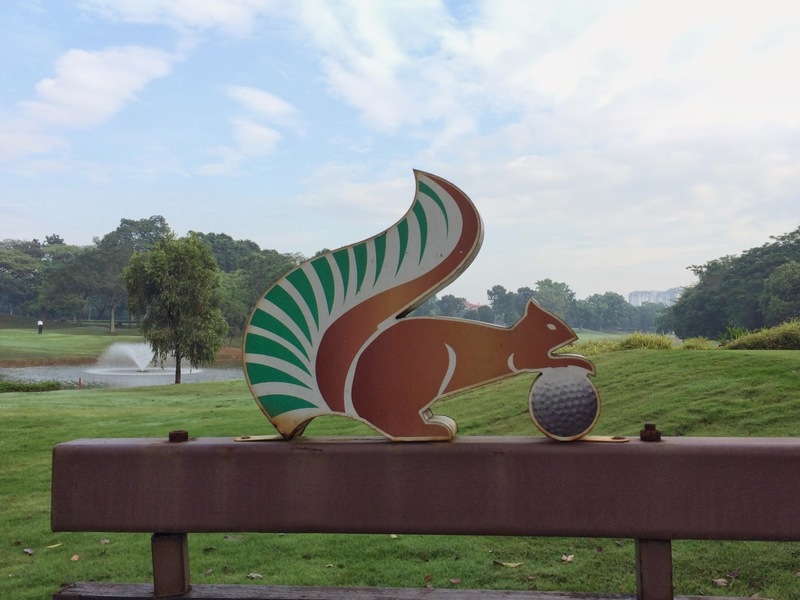 We took lunch at the nearby O&S Restaurant (many thanks to Barry Cousins for doing the arrangements). 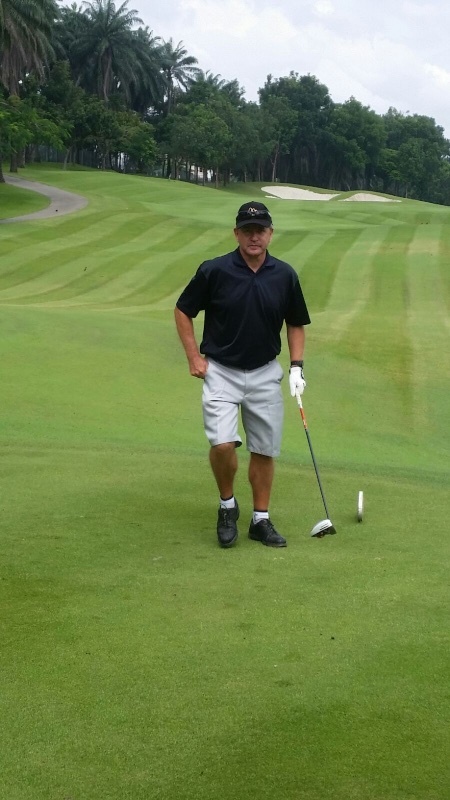 We took the opportunity also to celebrate Mike Smith’s 77th Birthday and he kindly picked up the beer bill for the day …. 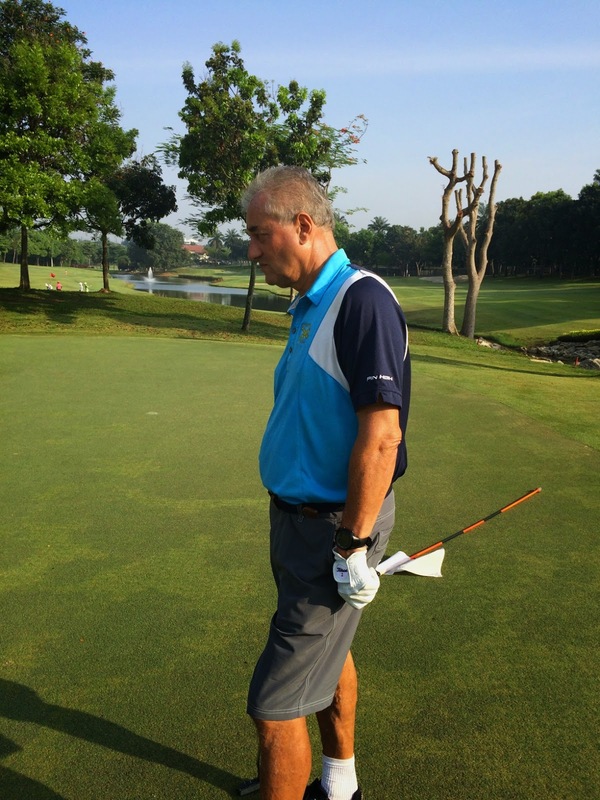 many thanks Mike. 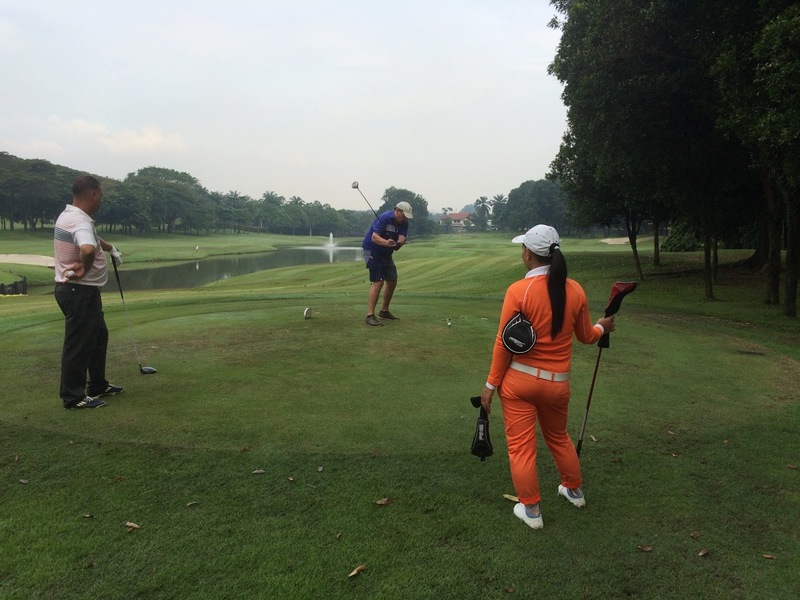 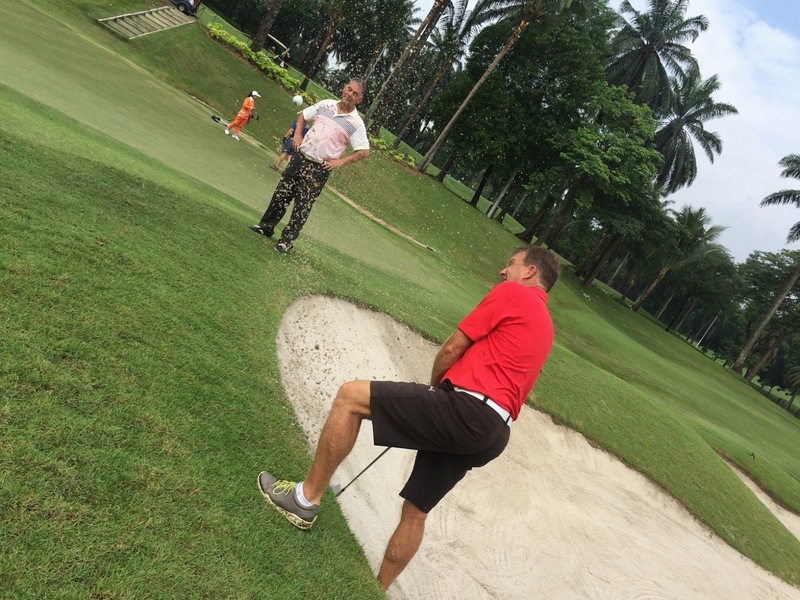 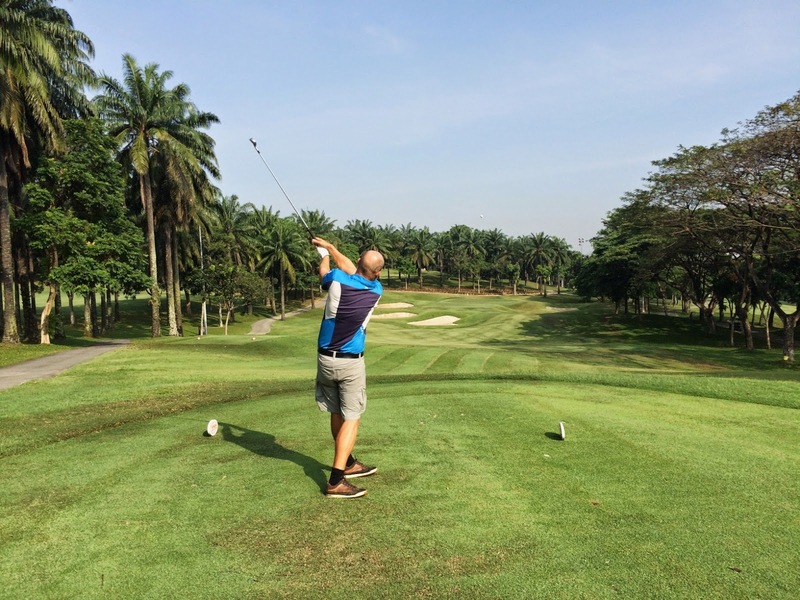 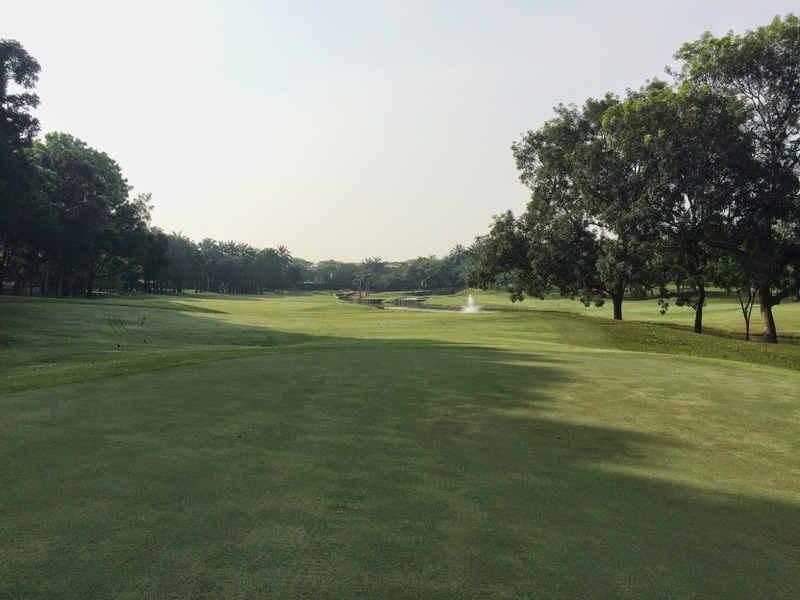 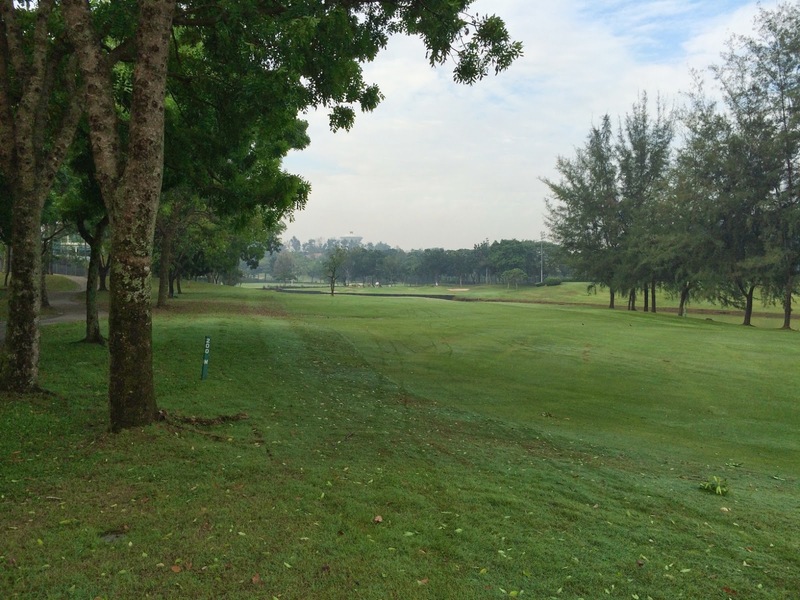 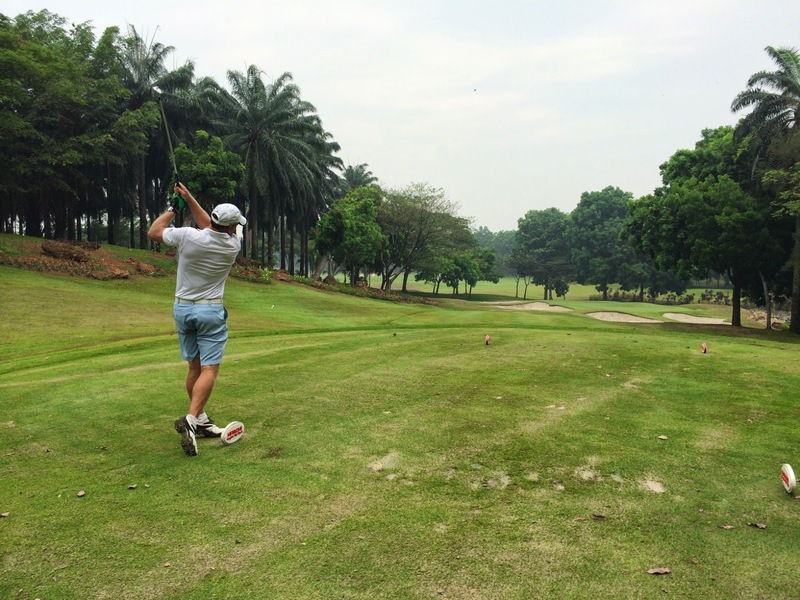 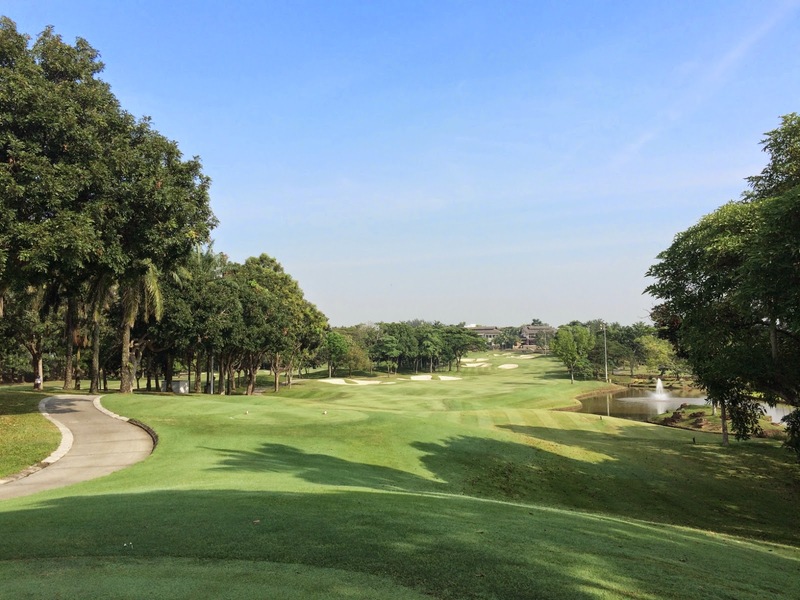 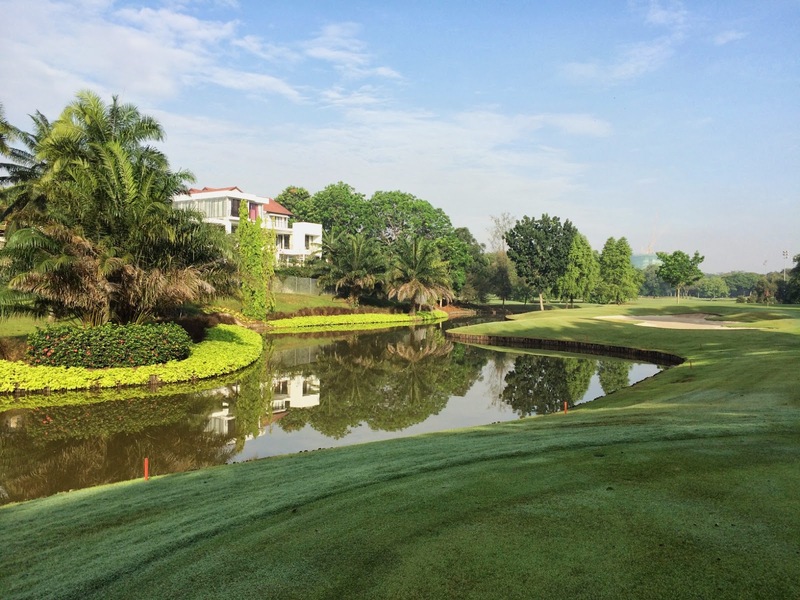 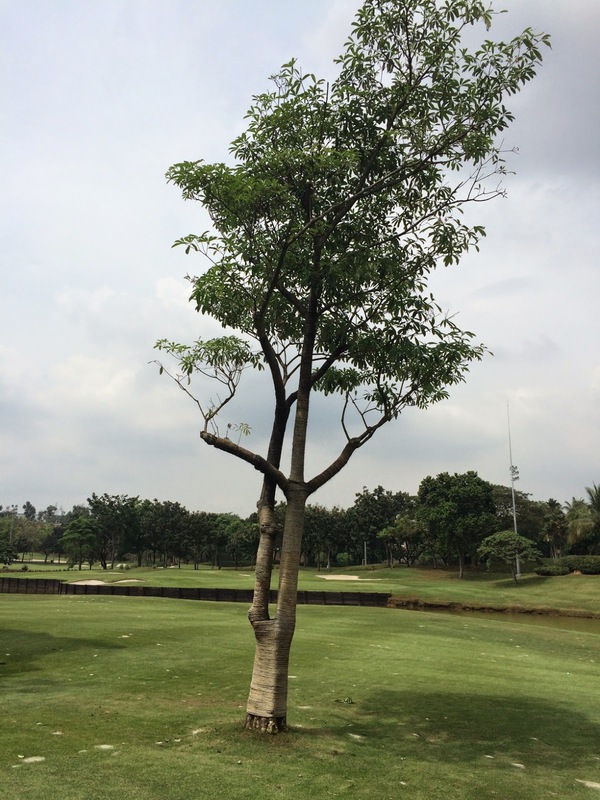 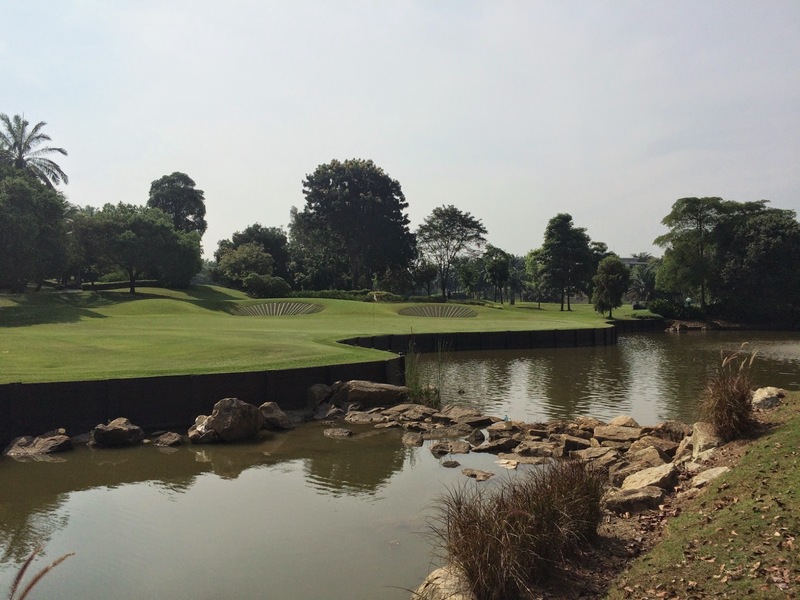 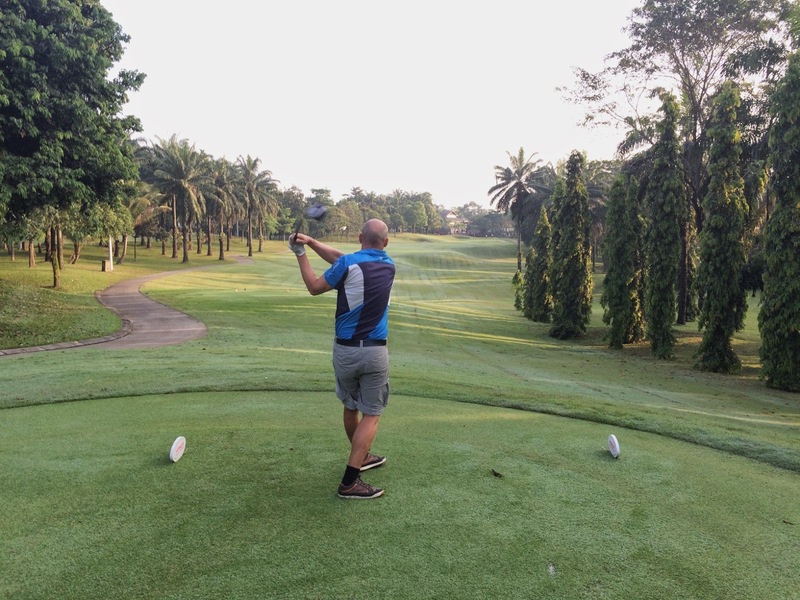 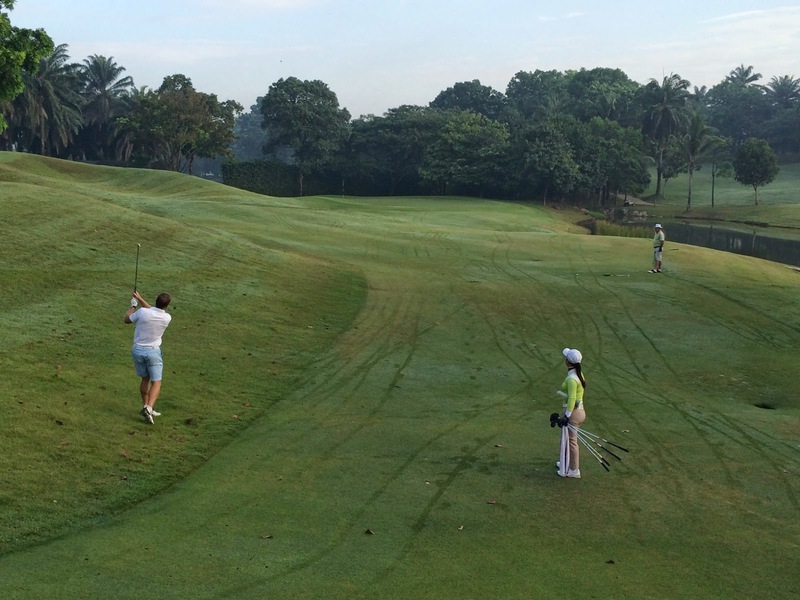 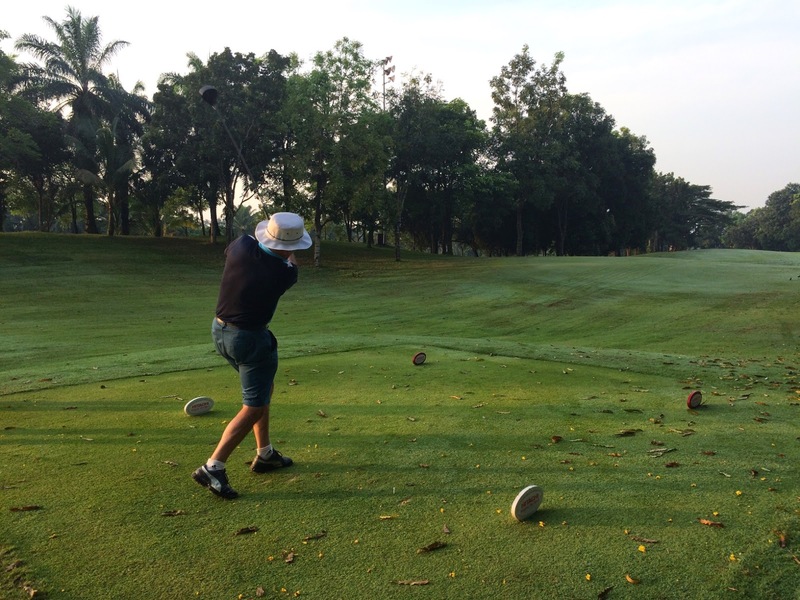 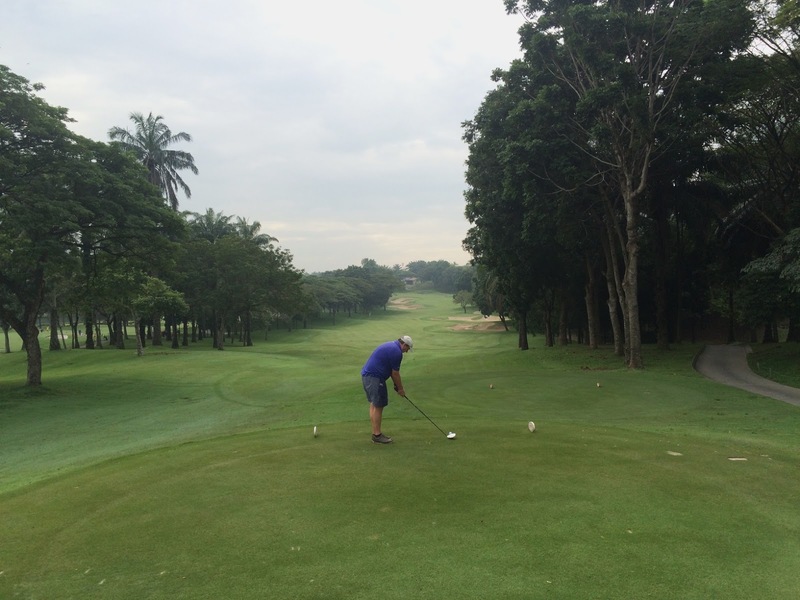 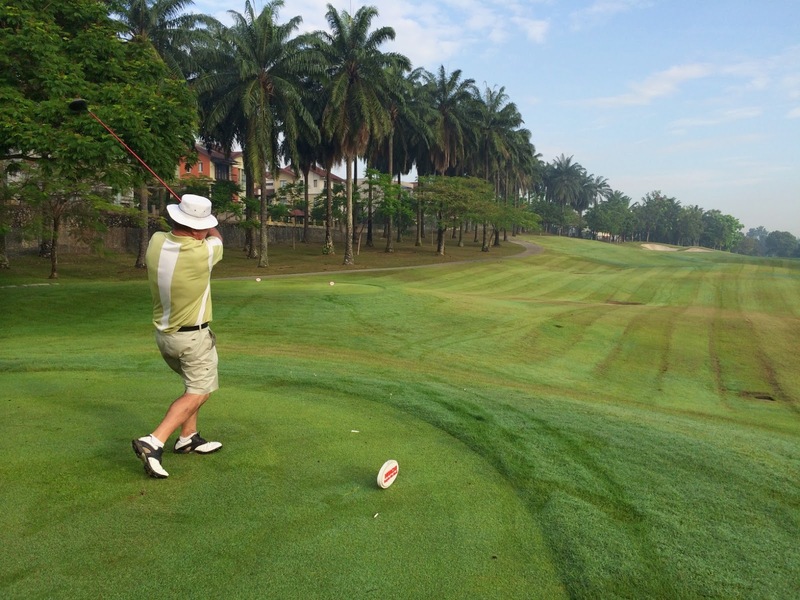 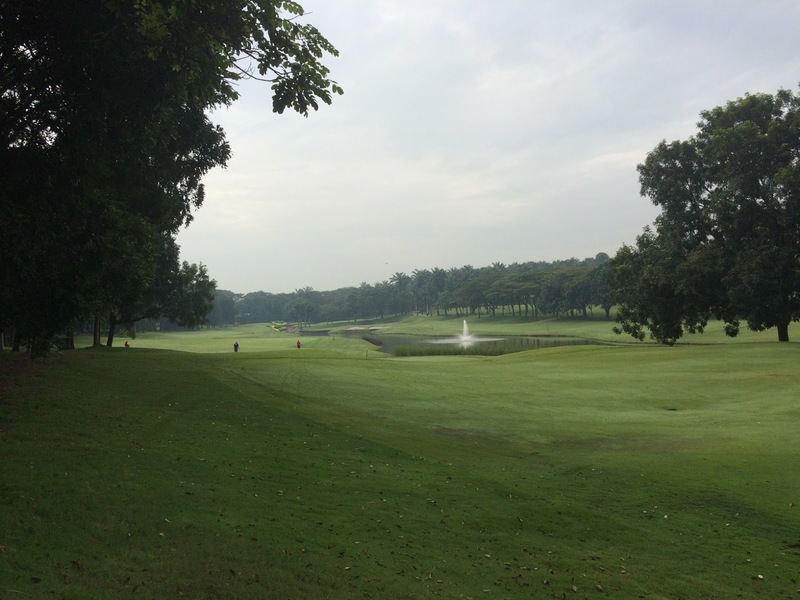 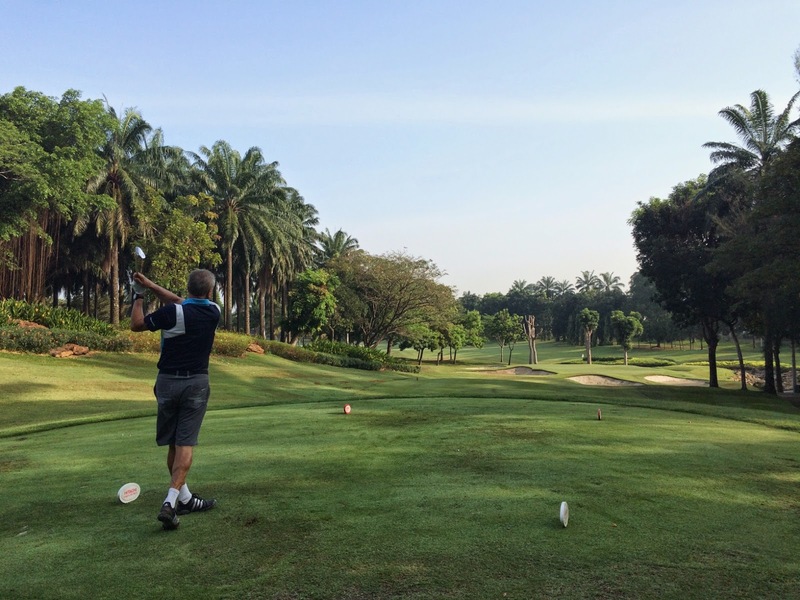 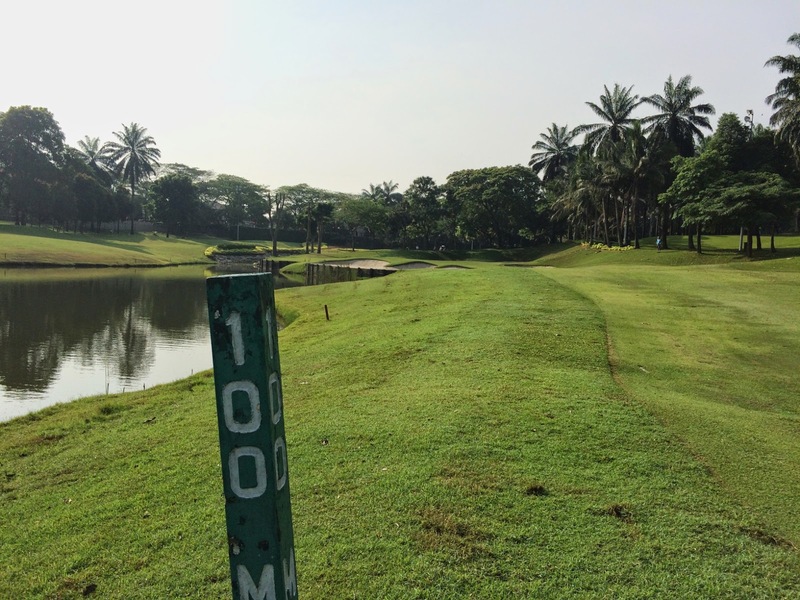 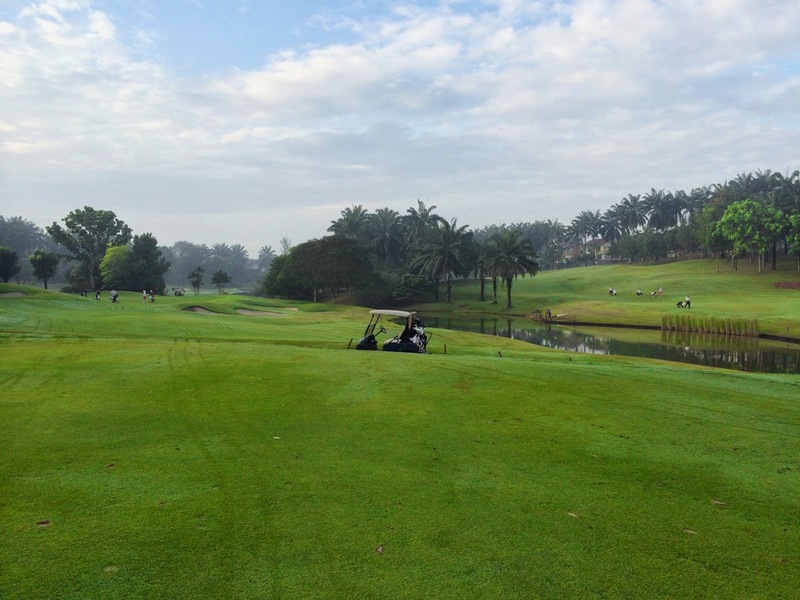 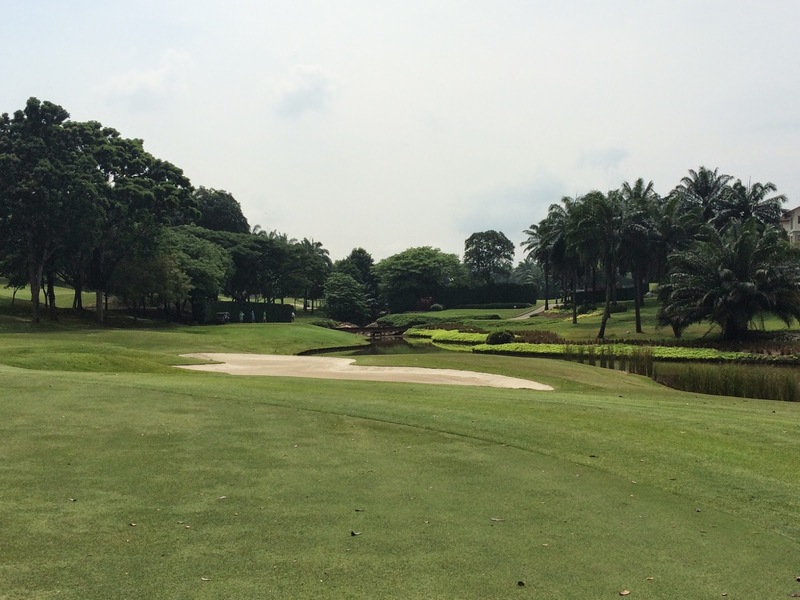 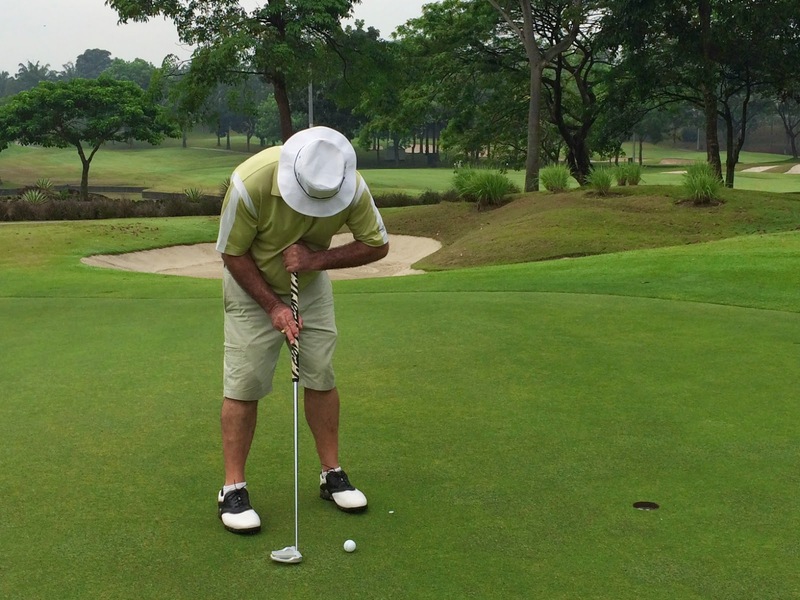 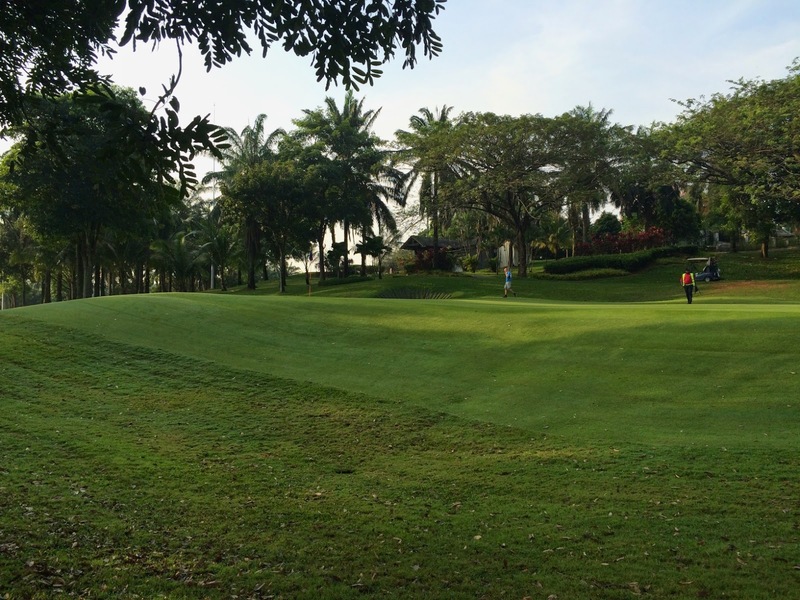 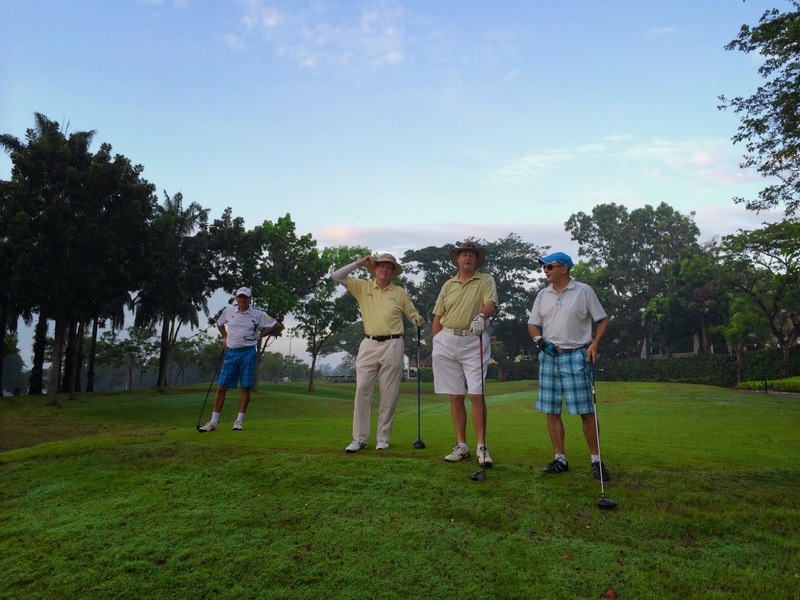 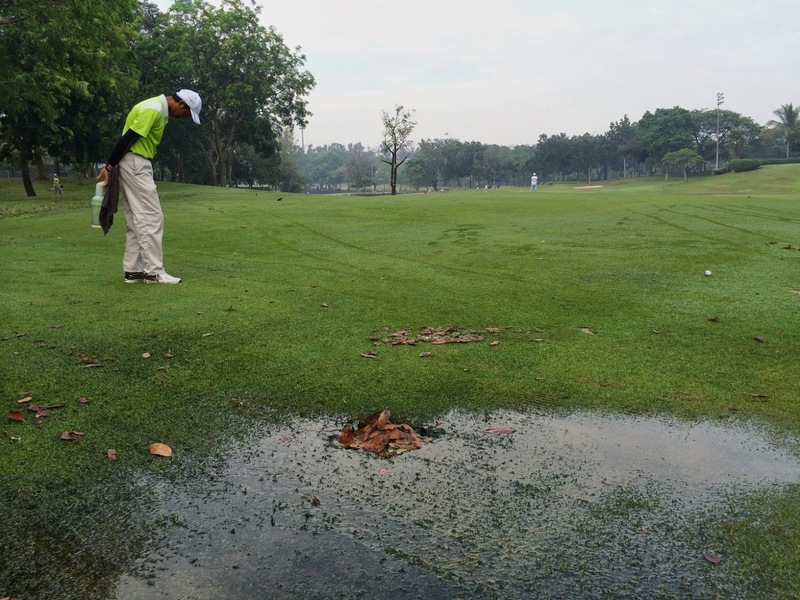 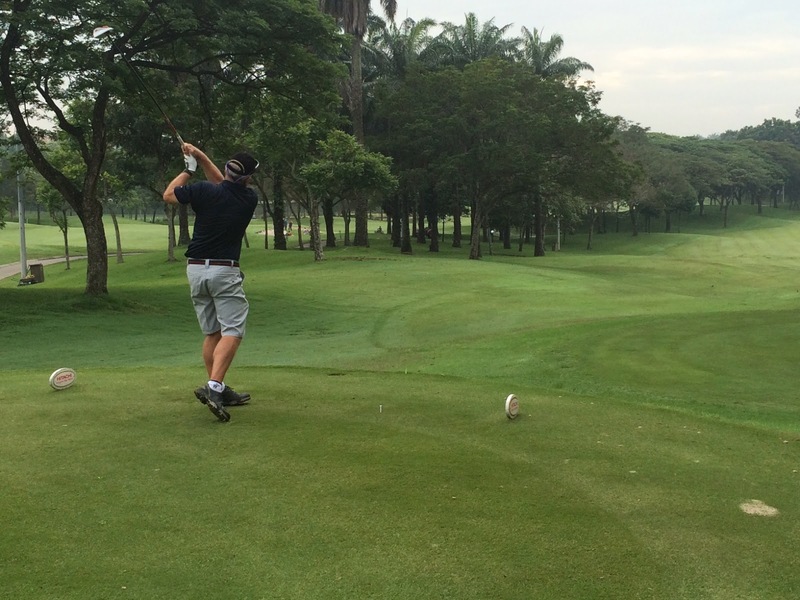 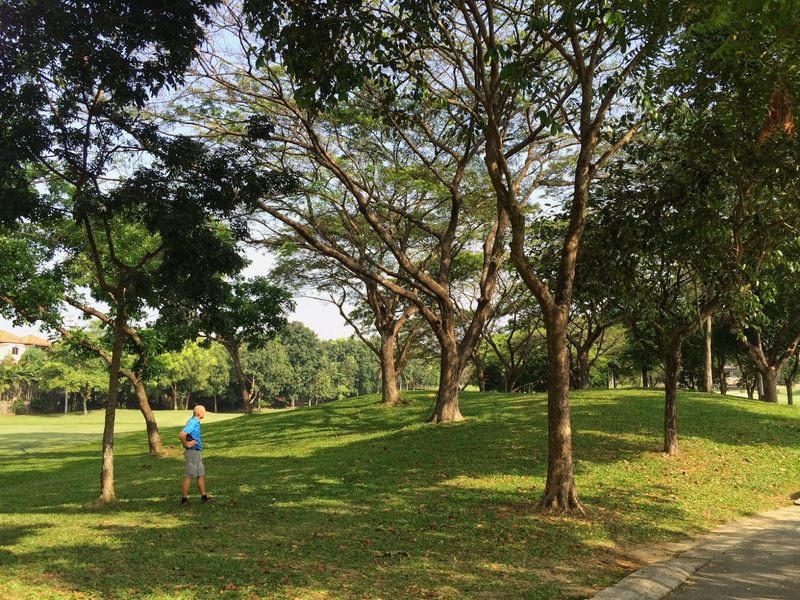 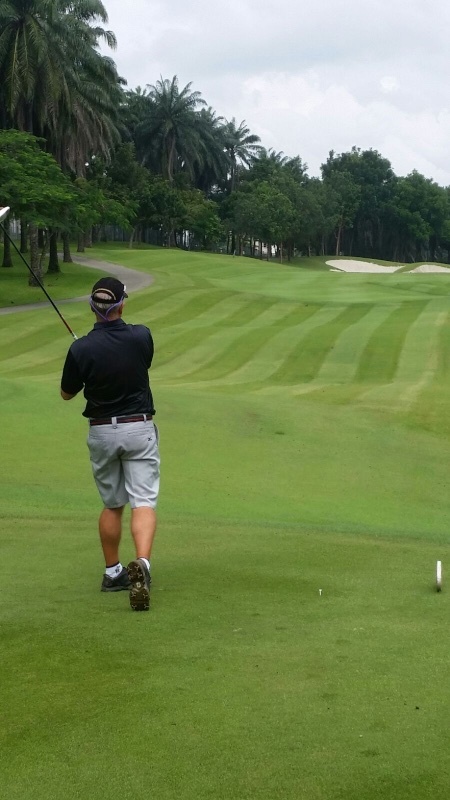 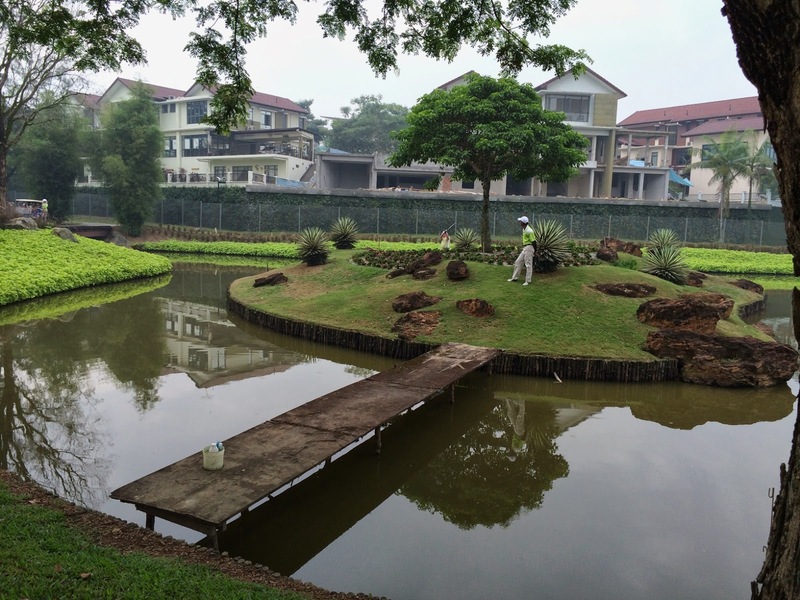 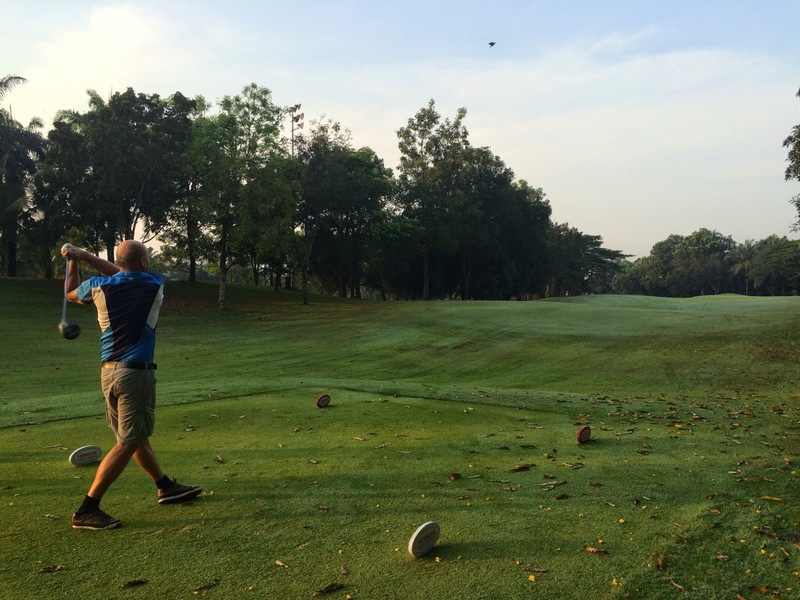 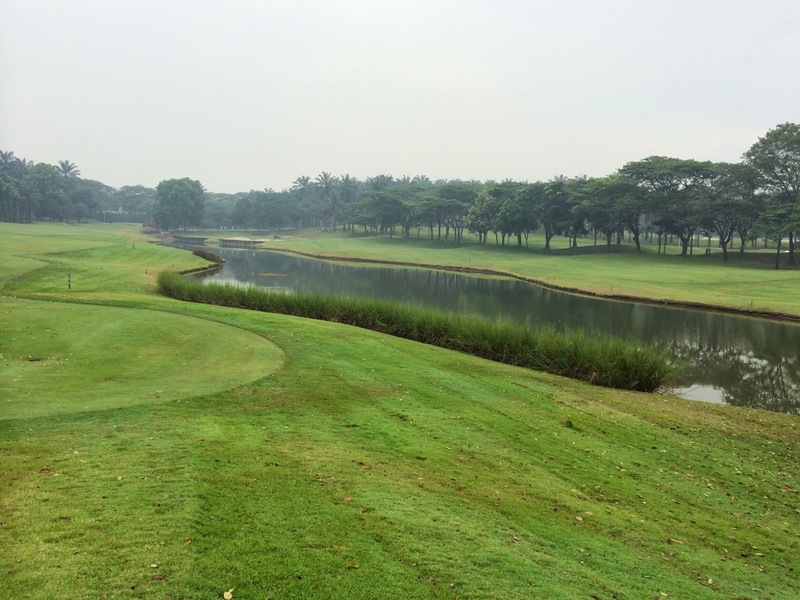 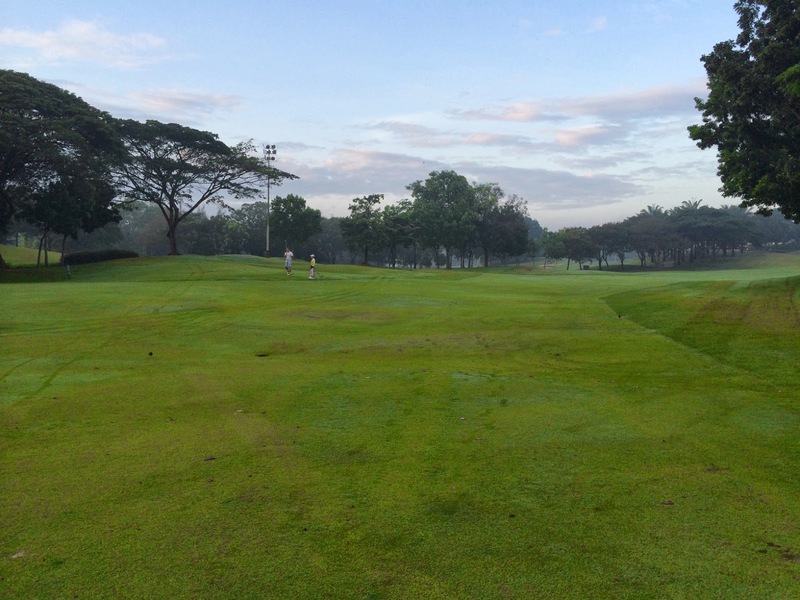 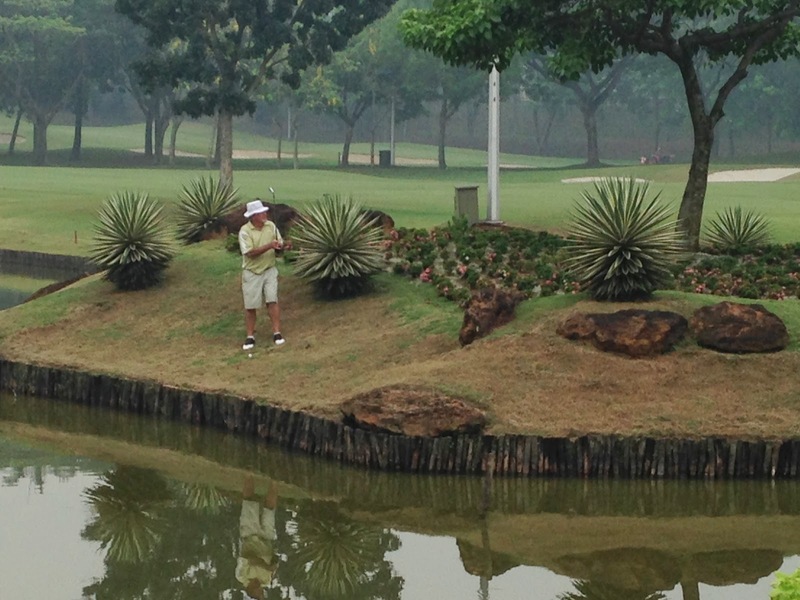 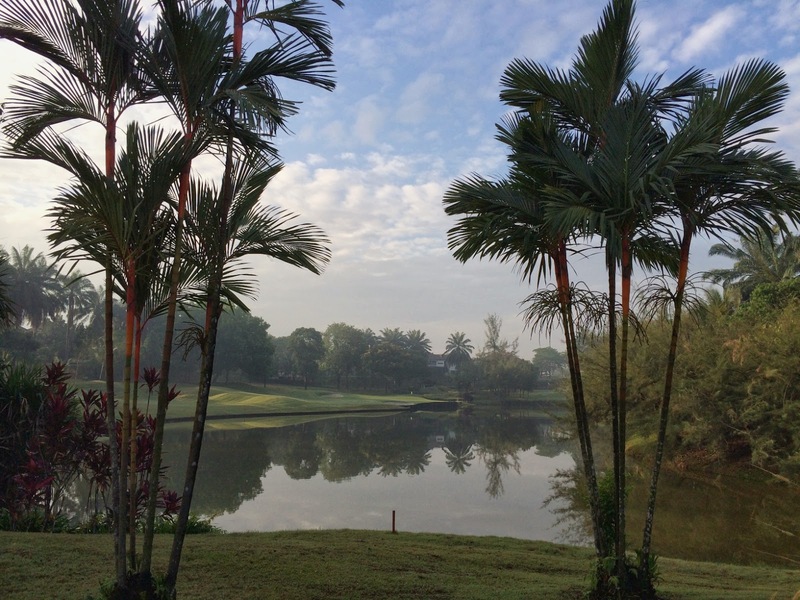 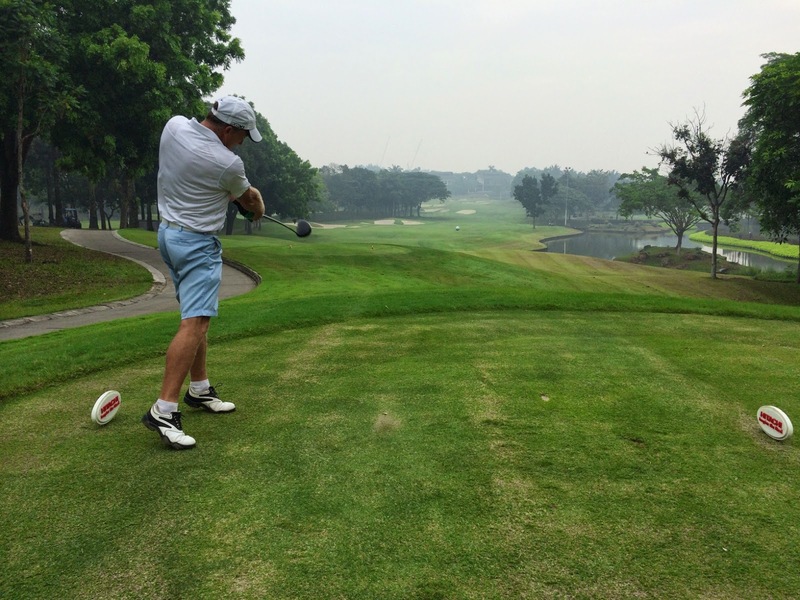 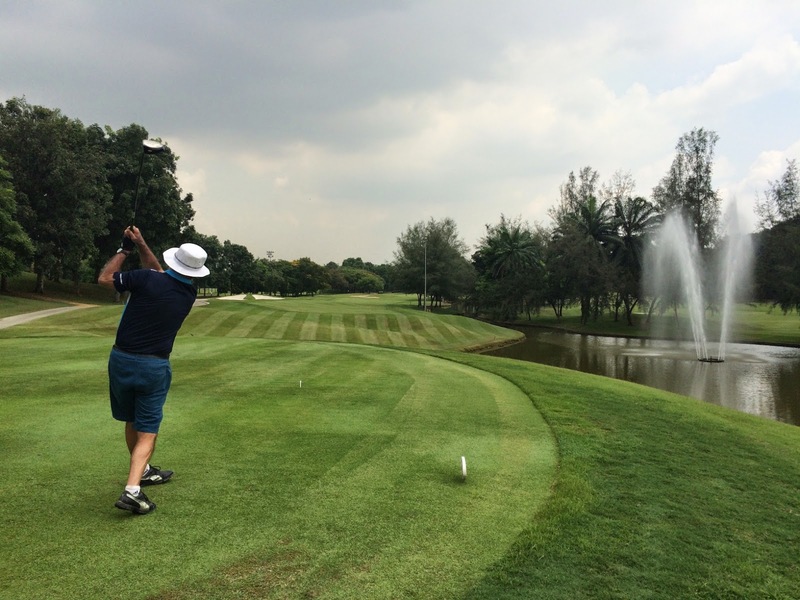 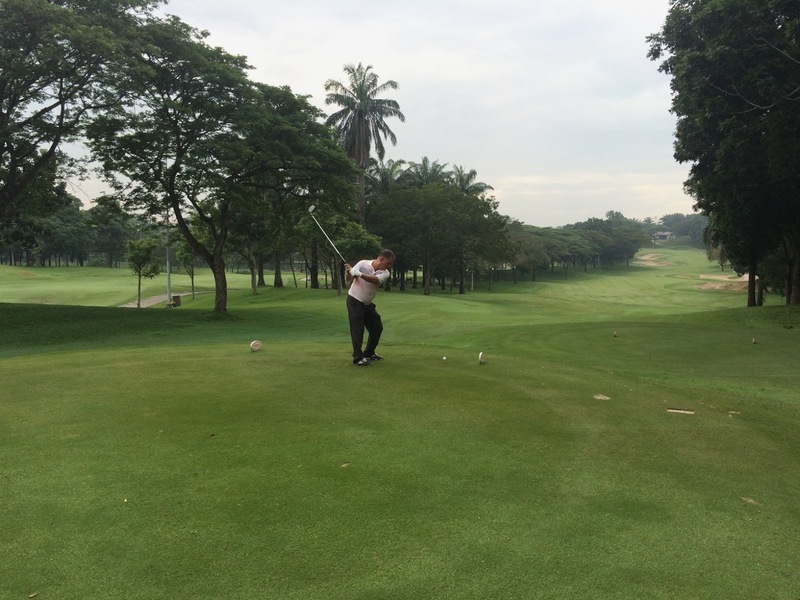 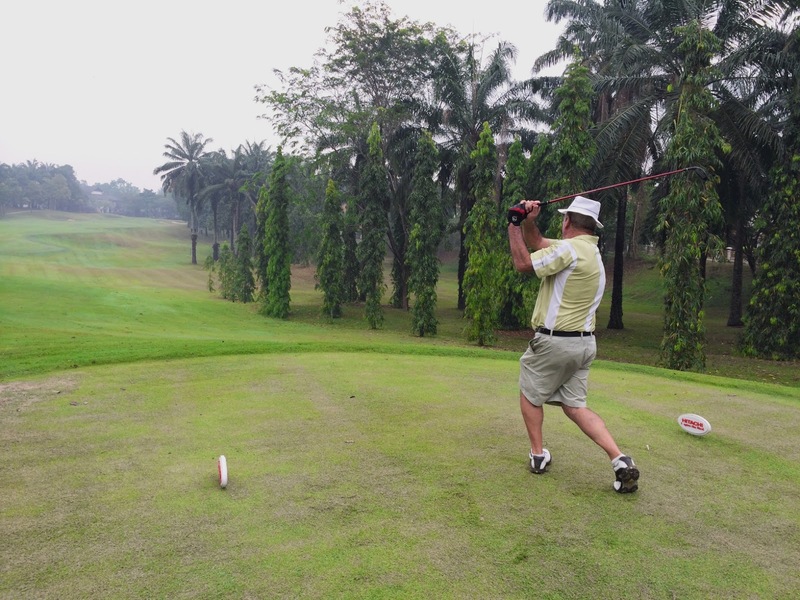 Kota Permai was in excellent condition as 23 Loose Cannons players descended on the lush, green fairways. 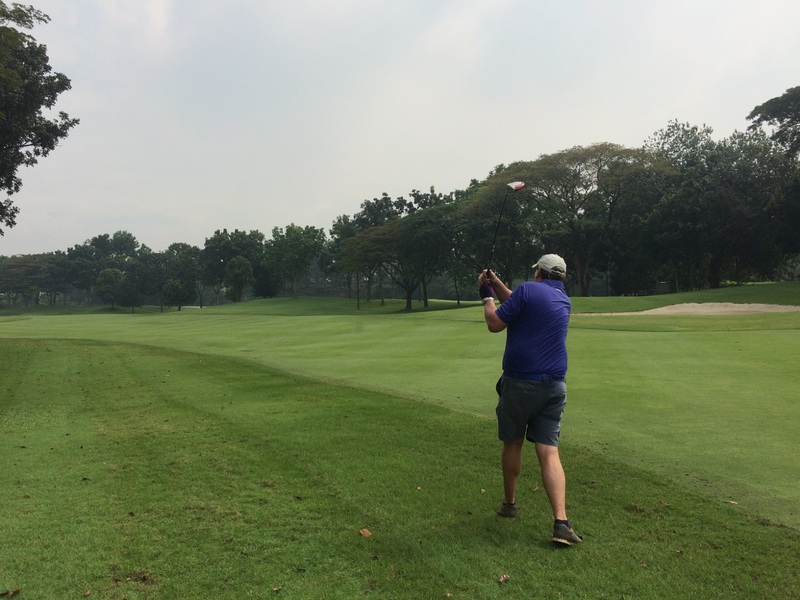 We had 6 flights and we managed to tee off at around or shortly after 7:30 from 2 tee boxes as planned. 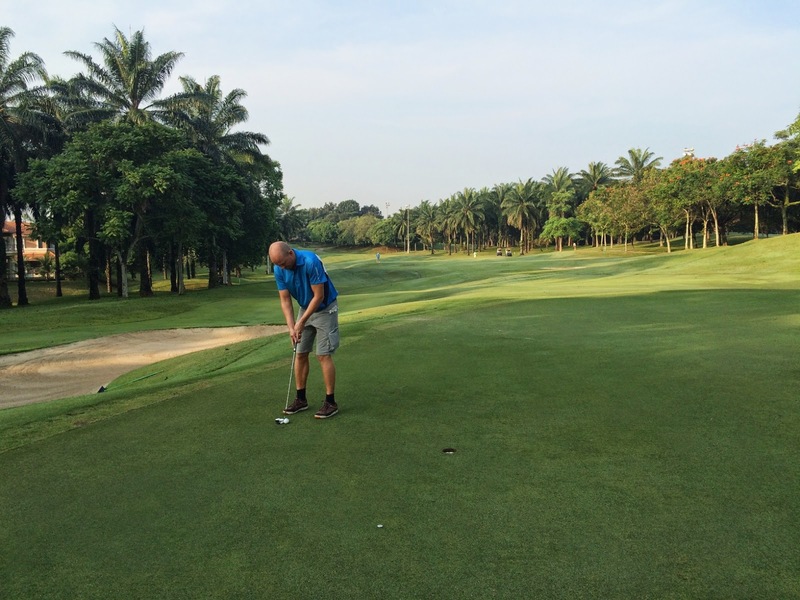 The fairways were in excellent shape as were all the bunkers and the greens ran true and fast as they normally do at this wonderful course. 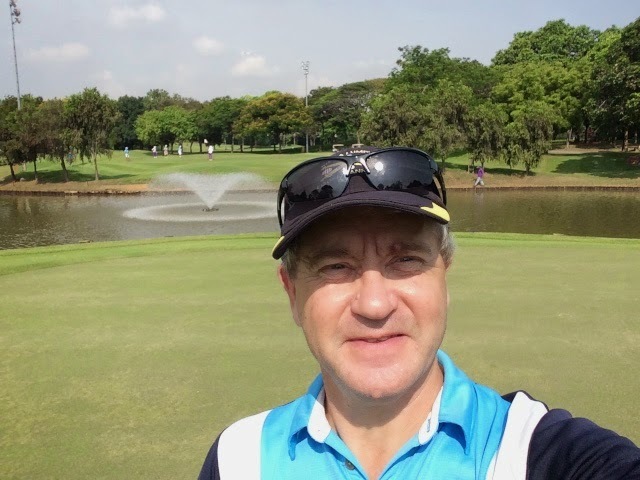 The winner today was Kevin Wiggins with a great score of 83 for 40 points – well done Kevin. 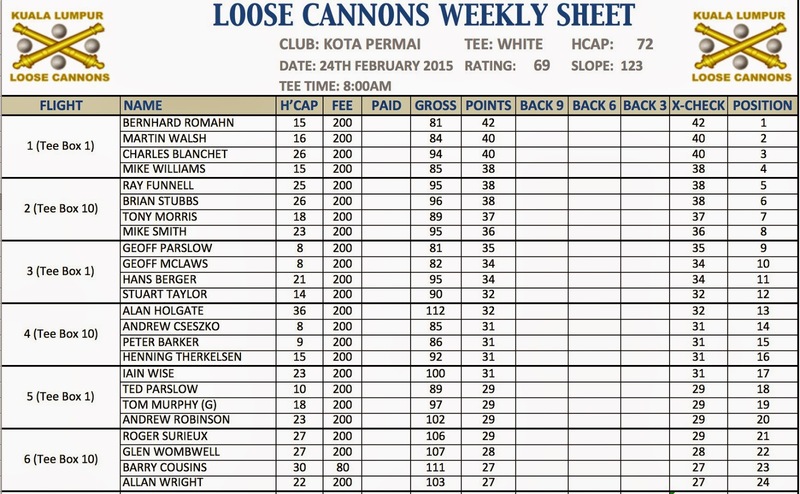 Joint runners up were Geoff McClaws (78 for 38 points) and Robert Mulliss with 100 for 38 points. 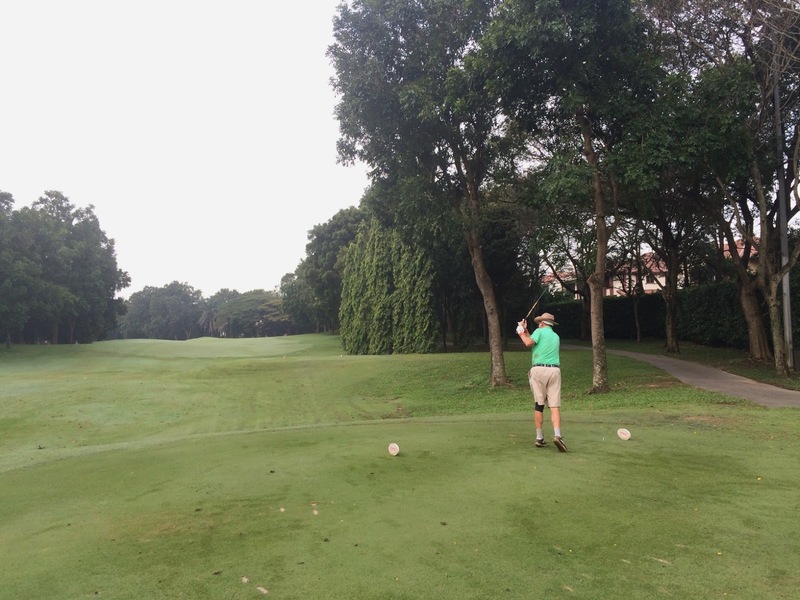 Geoff McClaws also had the best gross of the day. 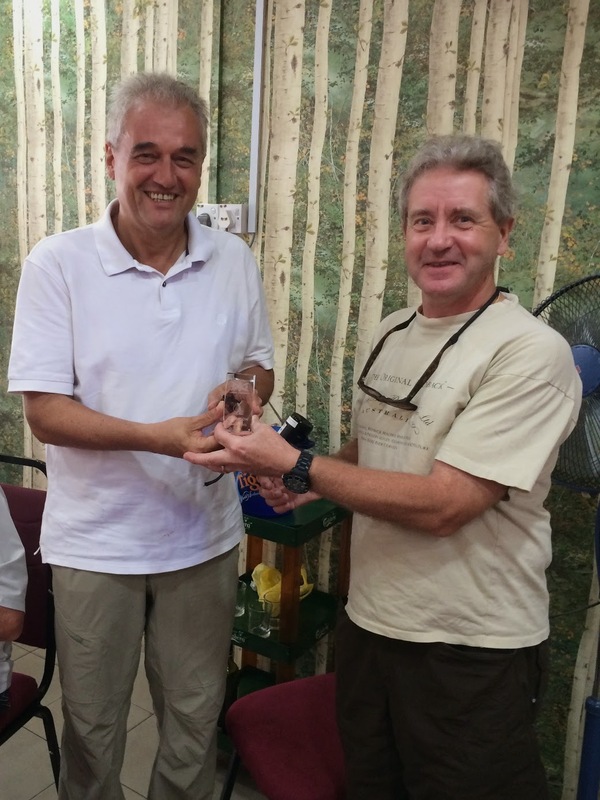 Lunch was held at the New Fu Yen Restaurant which was very good and aided by kind donations from Ray Funnell and Kevin Wiggins who celebrated their recent 300th and 200th games respectively. 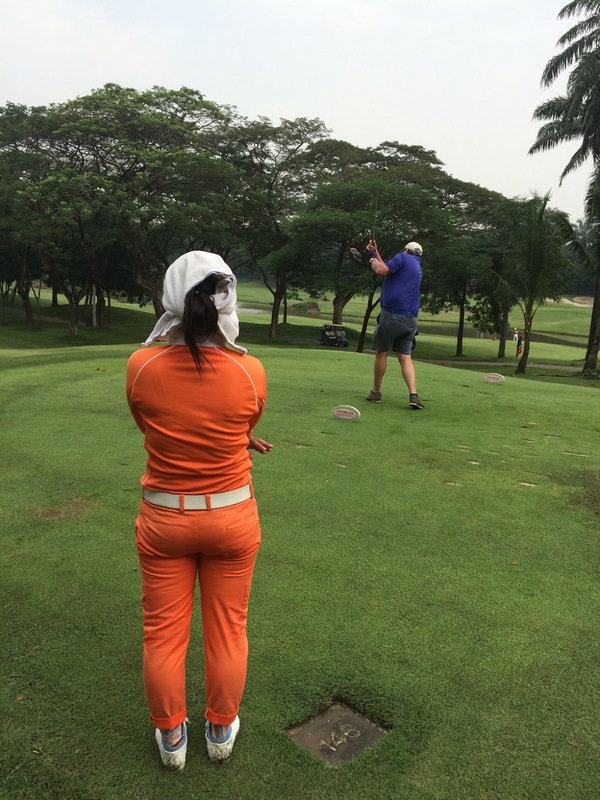 Thank you both for the kind donations. 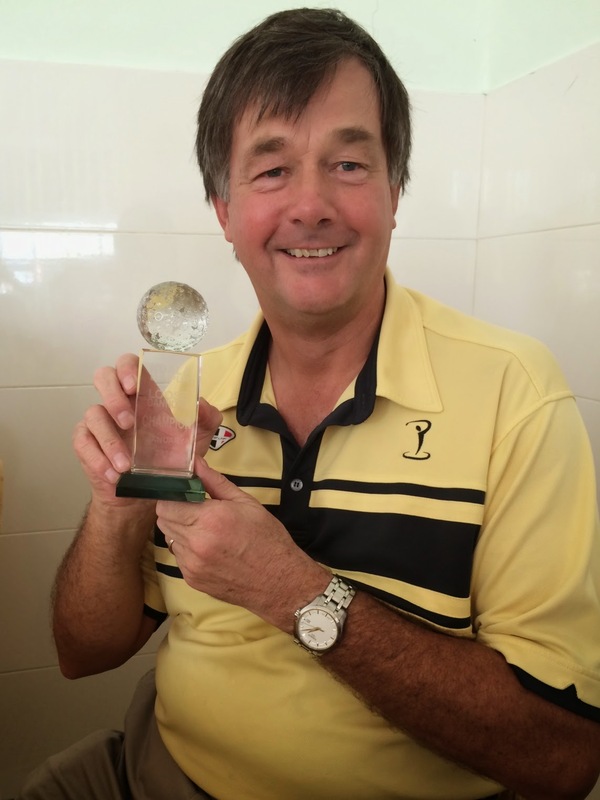 Tony Morris was presented at lunch with the January Trophy which was not available at the time he won it – please see photo of Tony and the January Trophy below in the Photo section. 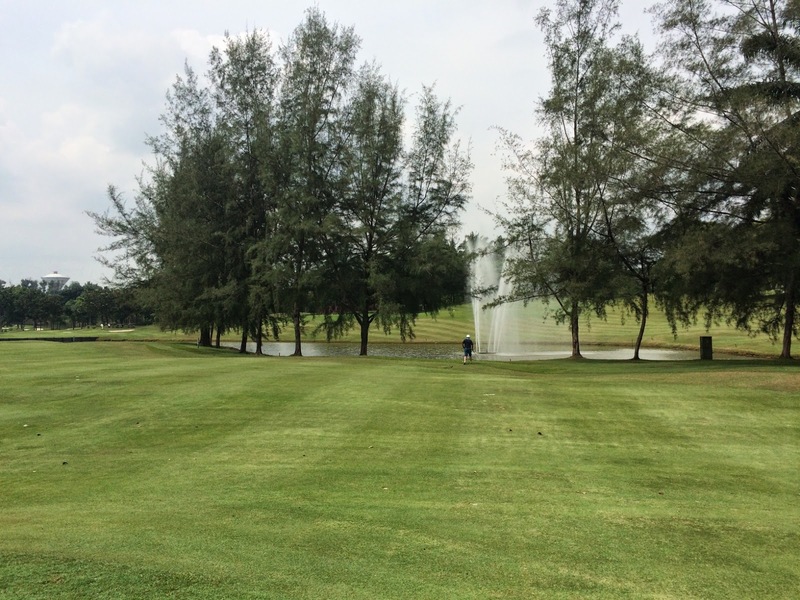 Thanks also to Barry Cousins who made the booking at Kota Permai. 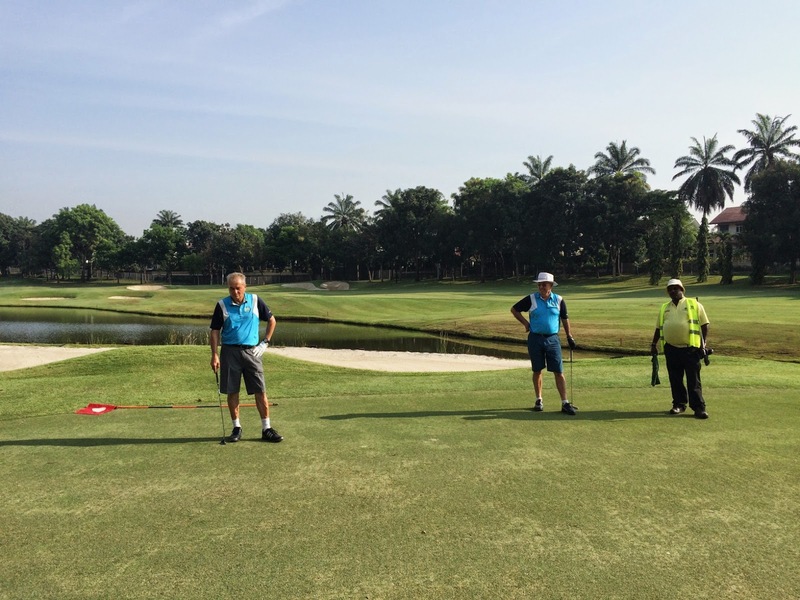 One amusing incident of the day transpired with an apparent “golf buggy accident” with our 4-ball group including Bernhard Romahn, Bernie Schobert, Vincent Vijayan and Iain Wise. 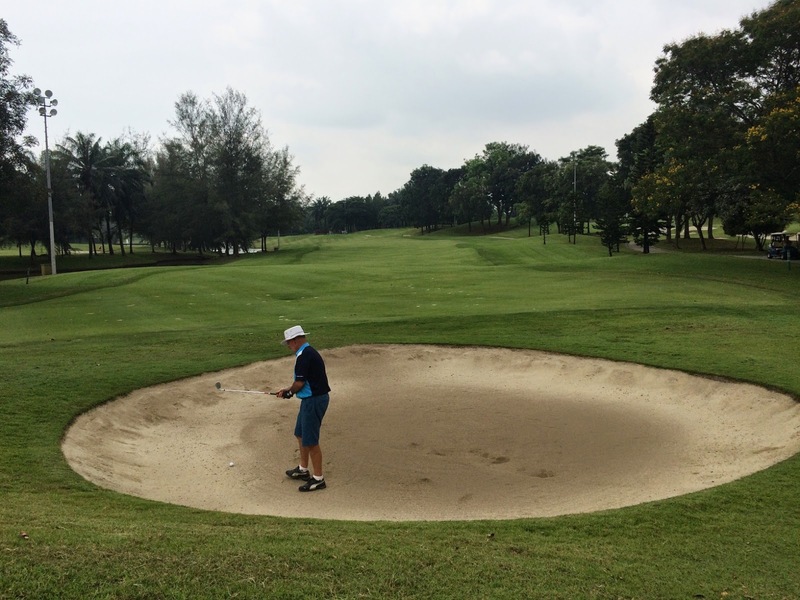 The buggy in question, which sustained some damage, was of course commandered by our very own “Desert Fox” Bernhard Romahn, known well for his previous exploits of buggy driving skills and through-bunker-navigation. 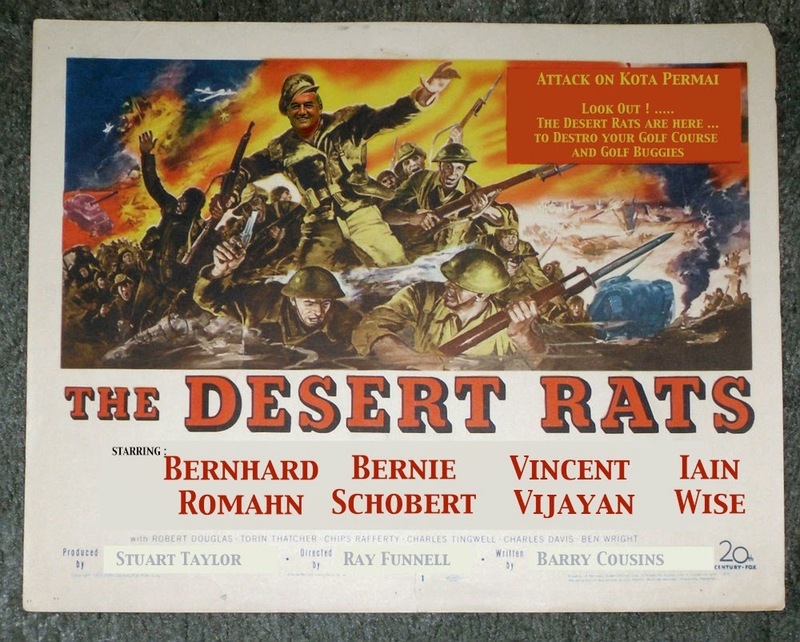 This has inspired an immediate release of a new movie to follow up from the previous Desert Fox poster which was popularly received by Herr Romahn as detailed below for your viewing pleasure. 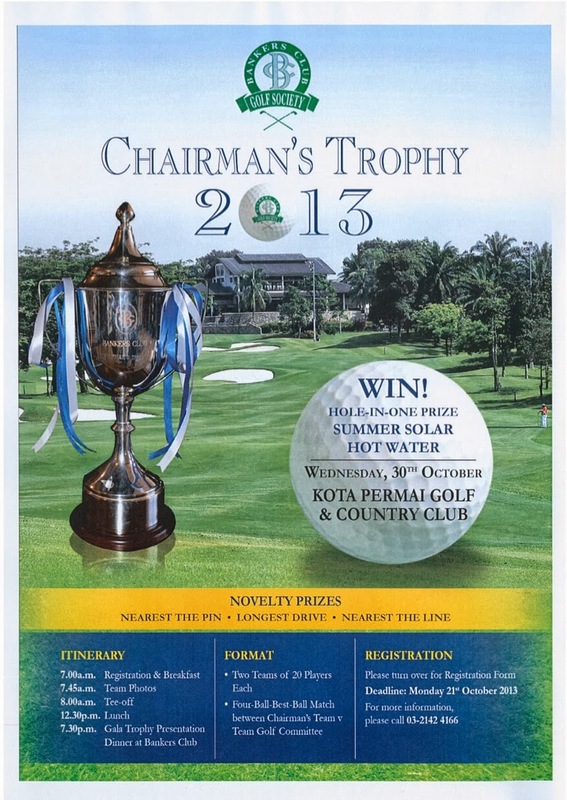 We are playing at Kota Permai next week – thanks to Barry who made this booking. 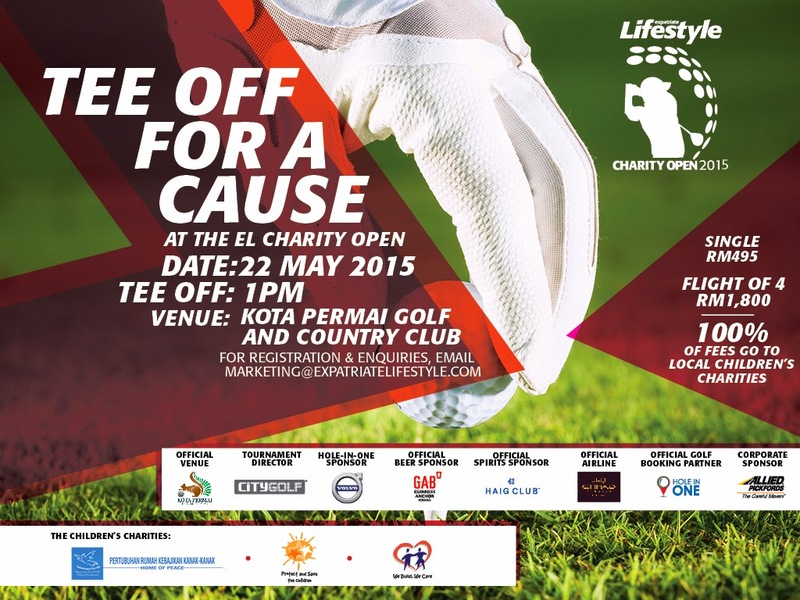 Costs will be RM220/pax inclusive of caddy/buggy. 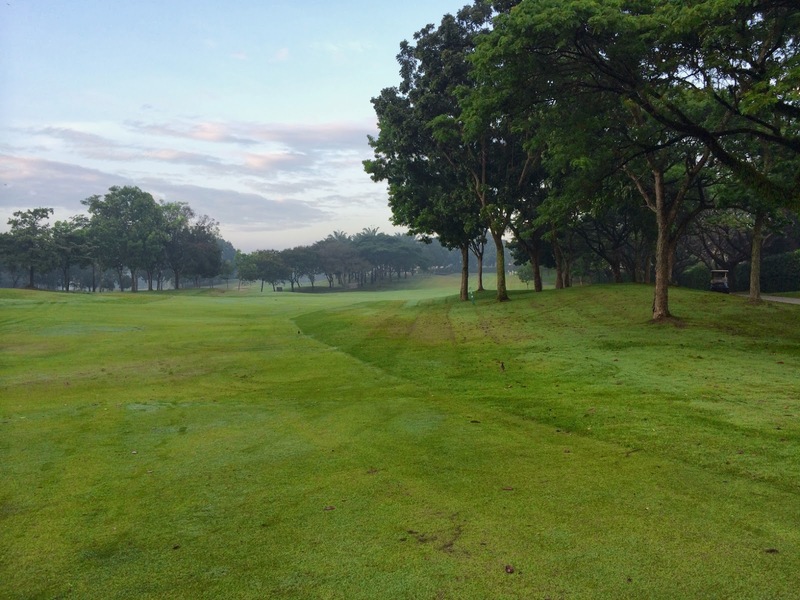 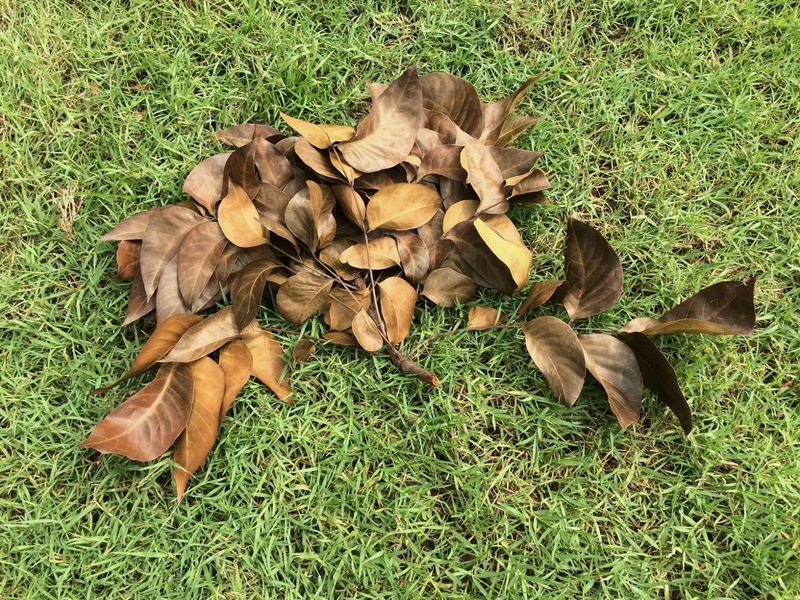 Two tee boxes have been confirmed at 7:30am and we need to be at the tee box 10 mins before tee off … so please be at the club by 7:00am latest.